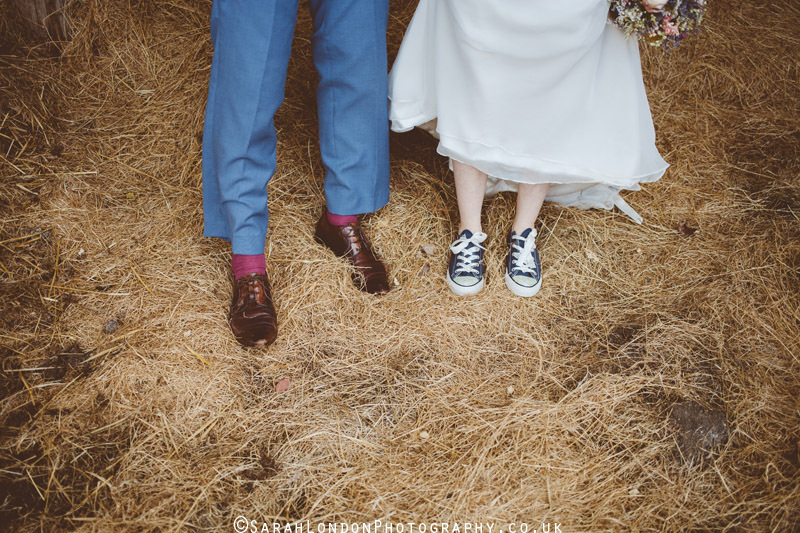 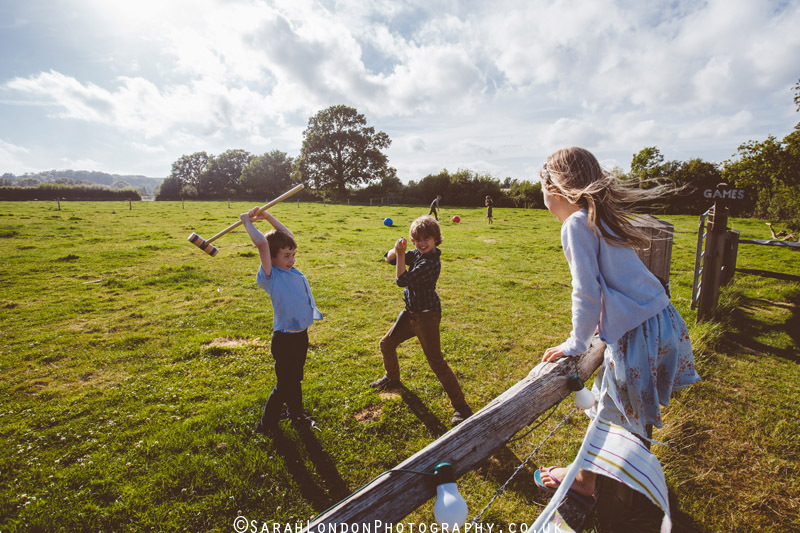 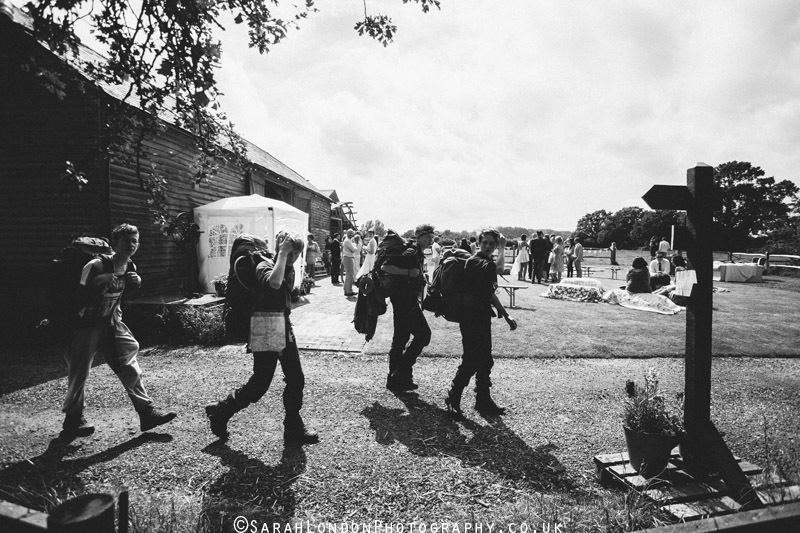 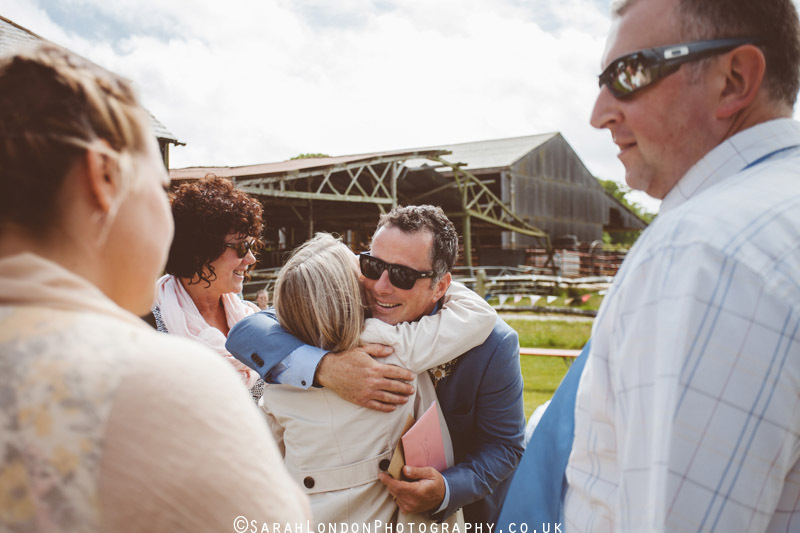 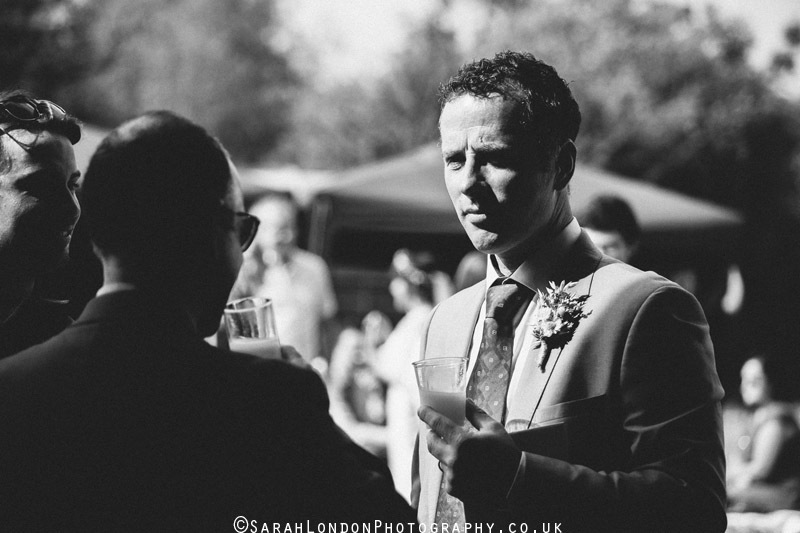 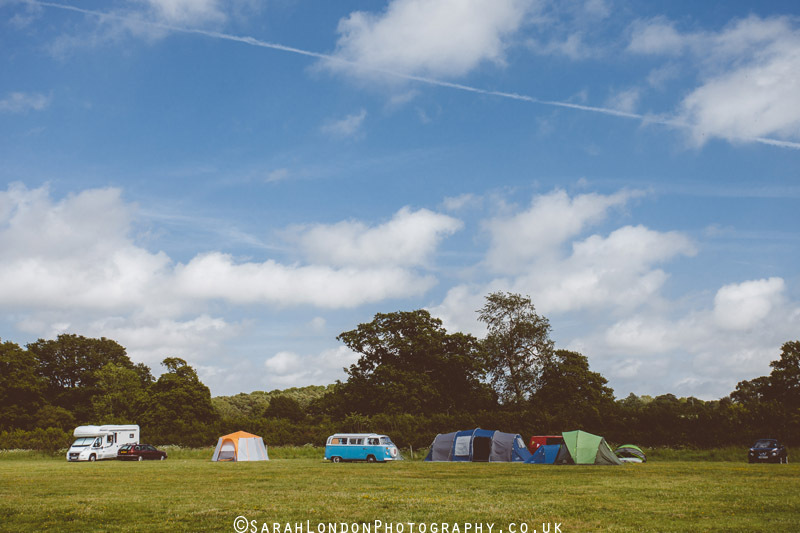 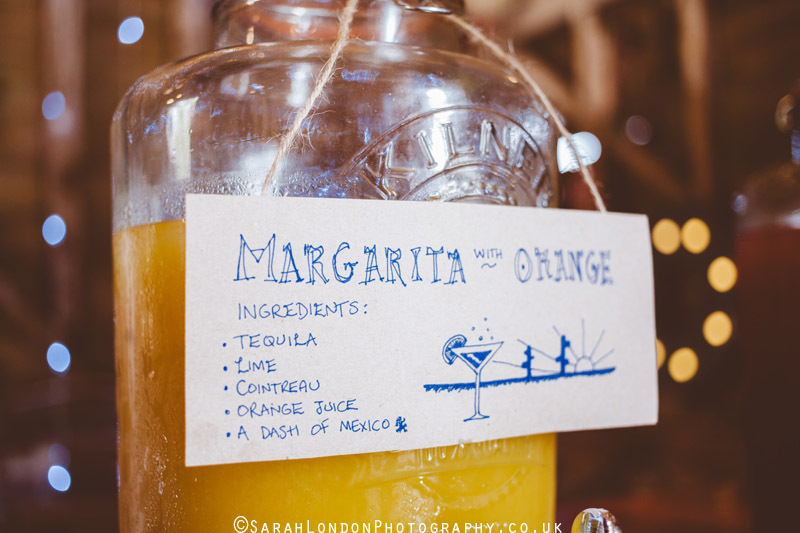 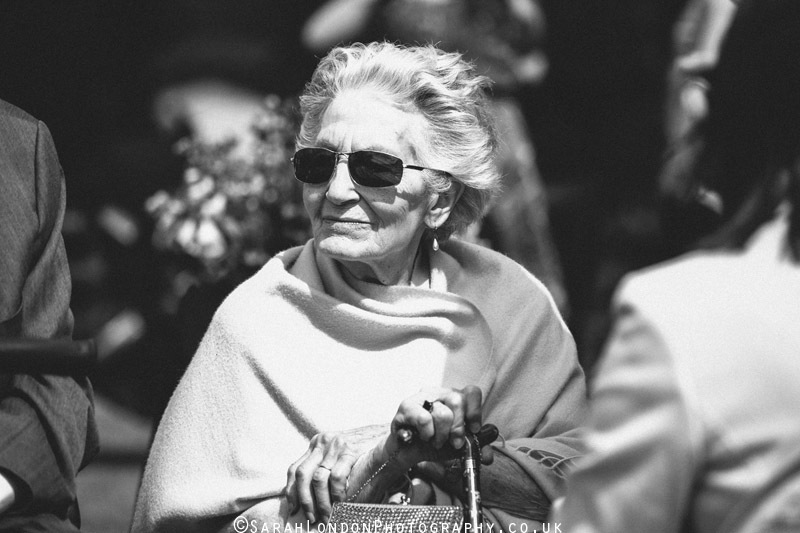 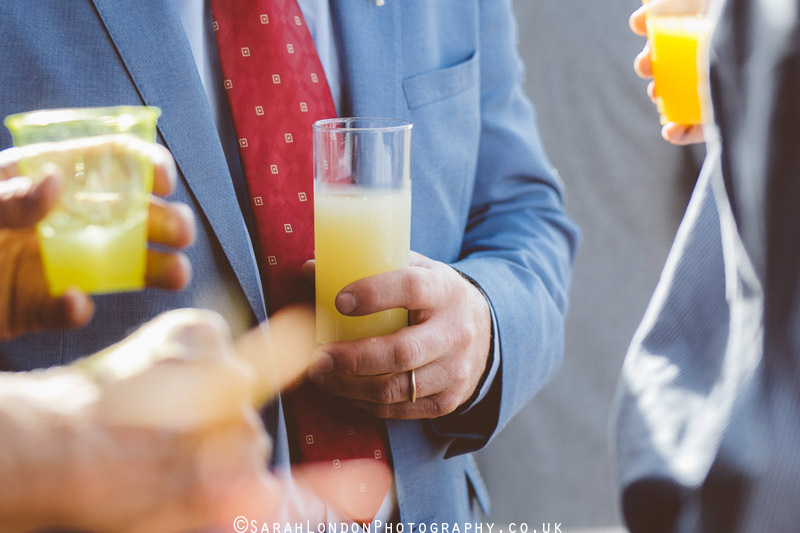 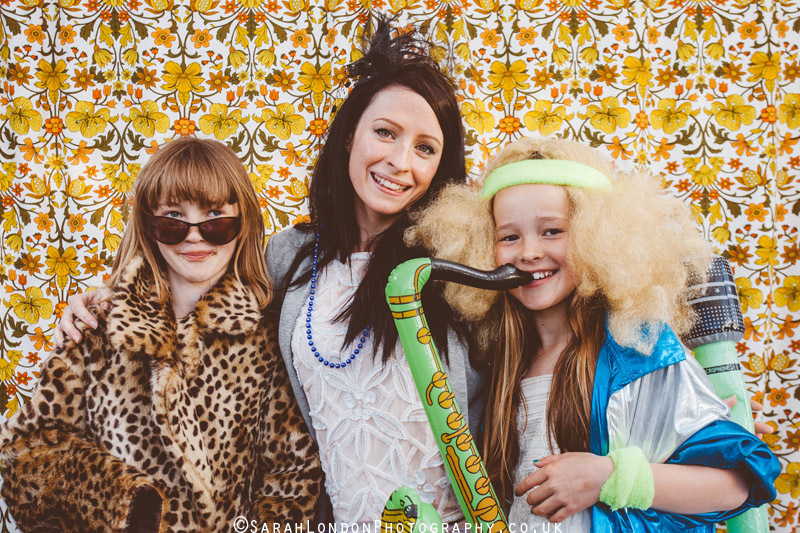 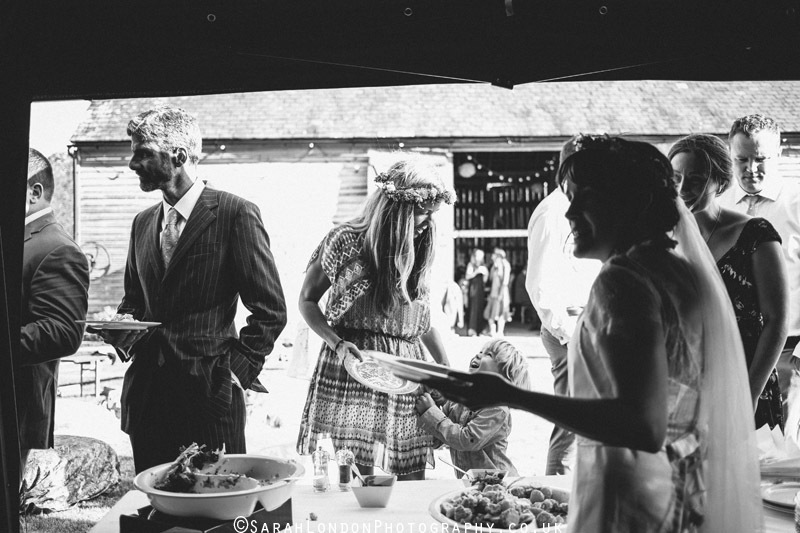 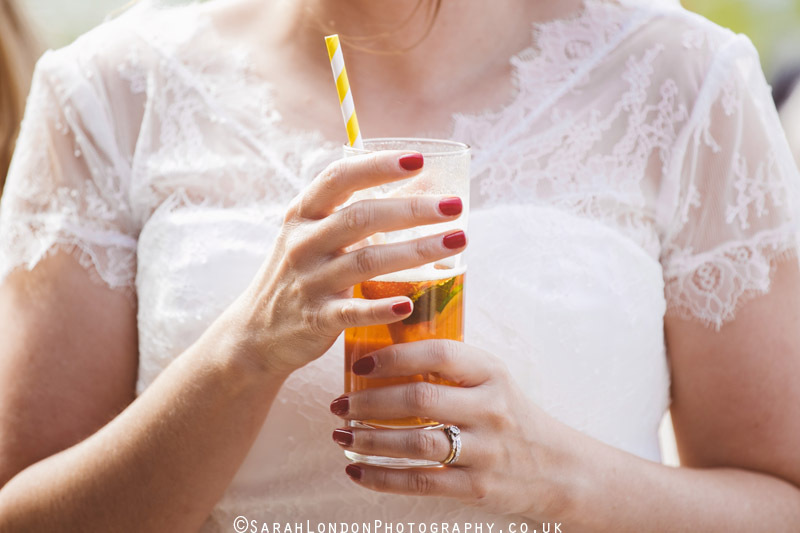 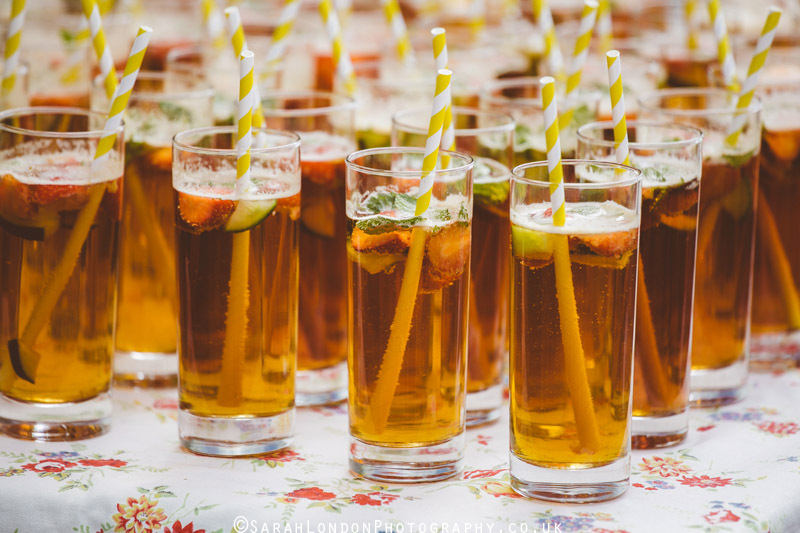 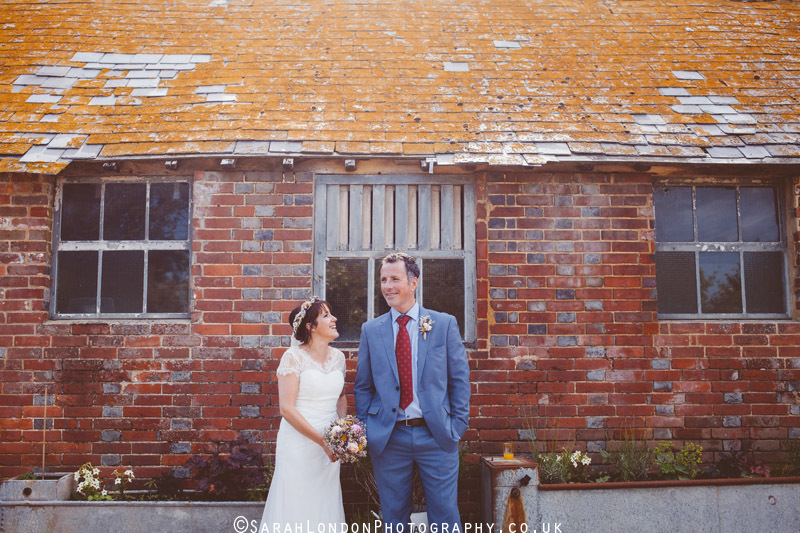 A laid back English wedding in the heart of the Sussex countryside. 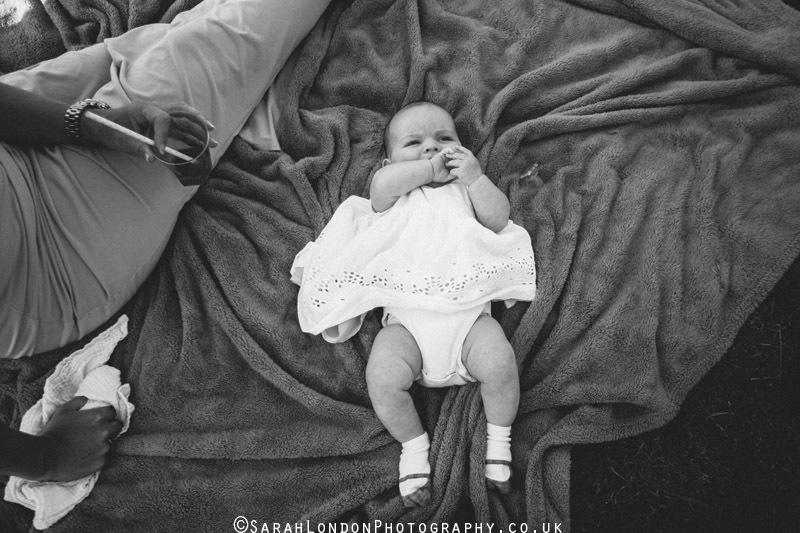 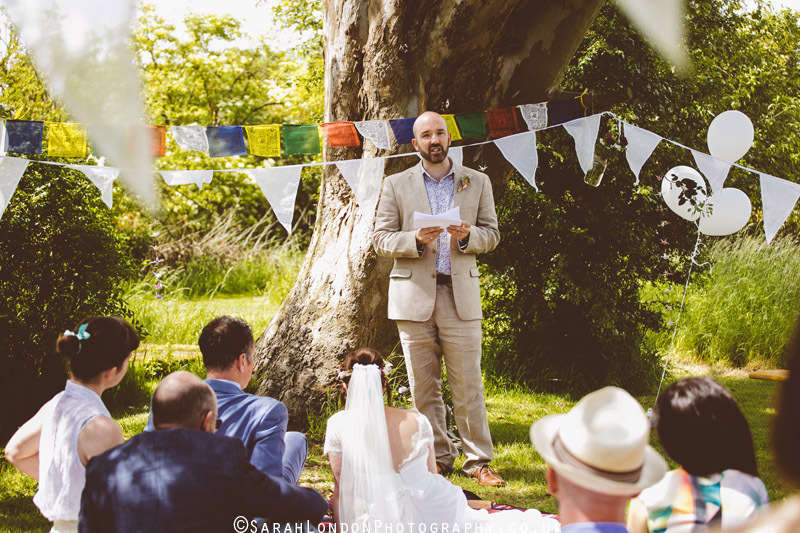 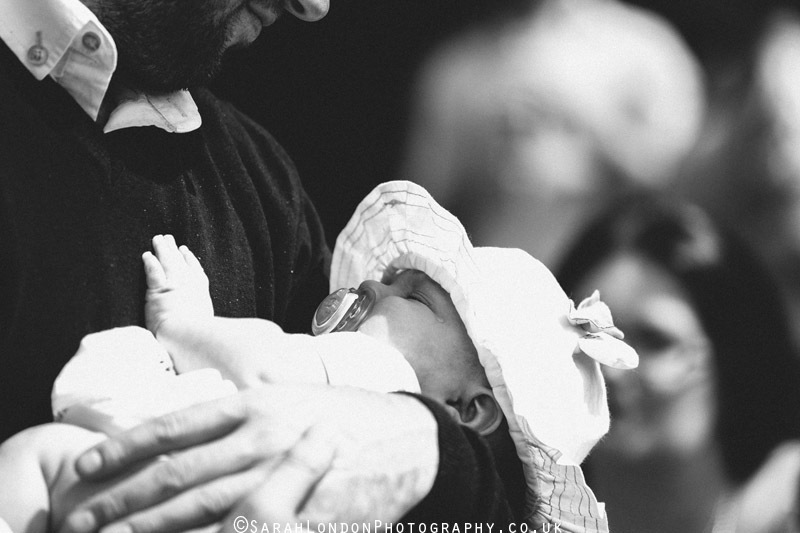 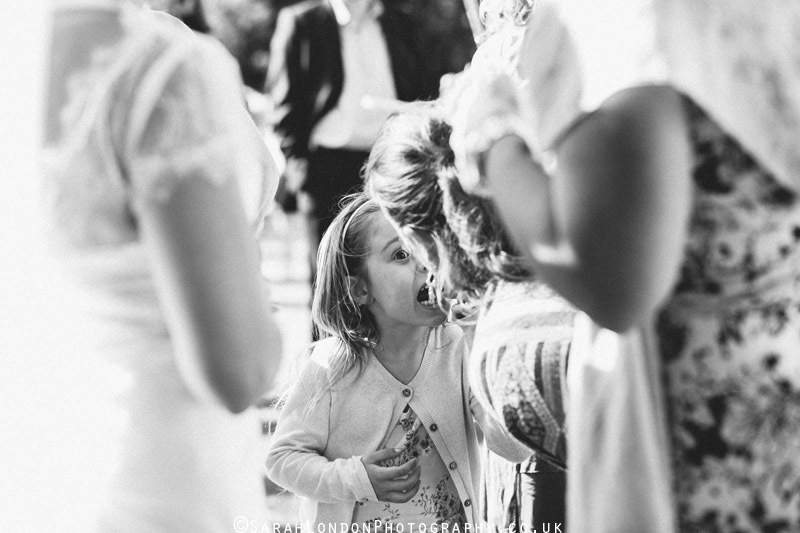 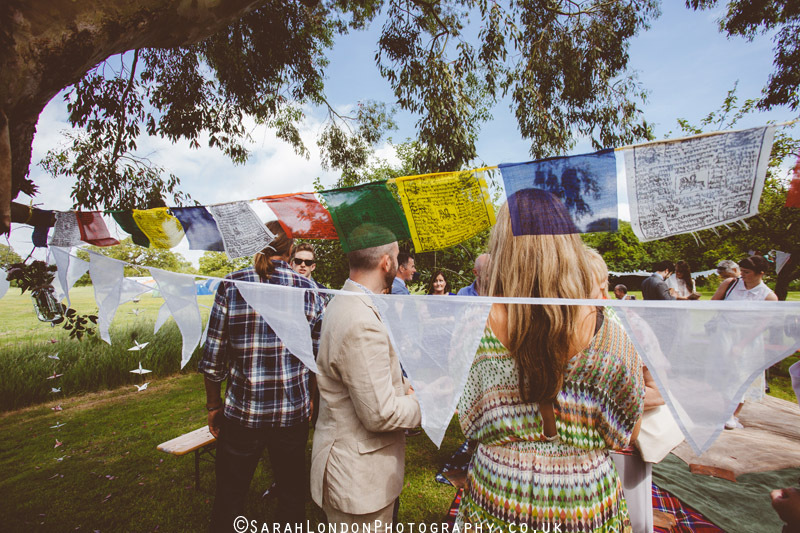 It was the perfect summers day for this laid back intimate blessing lead by one of Katie’s brothers. 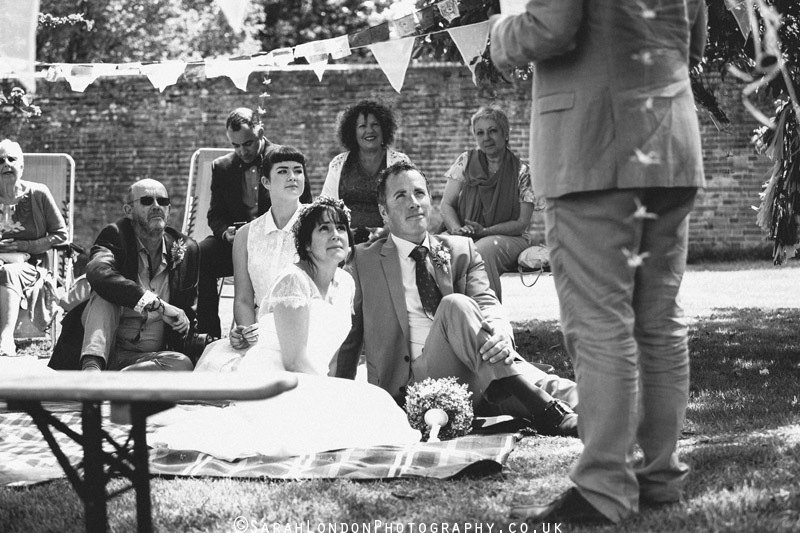 They had already had their formal legal ceremony abroad but wanted a day to share with friends and family back home in England. 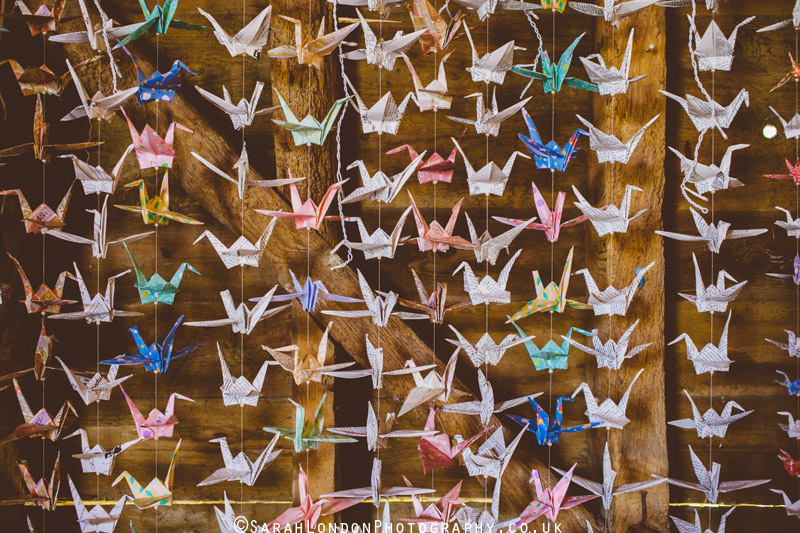 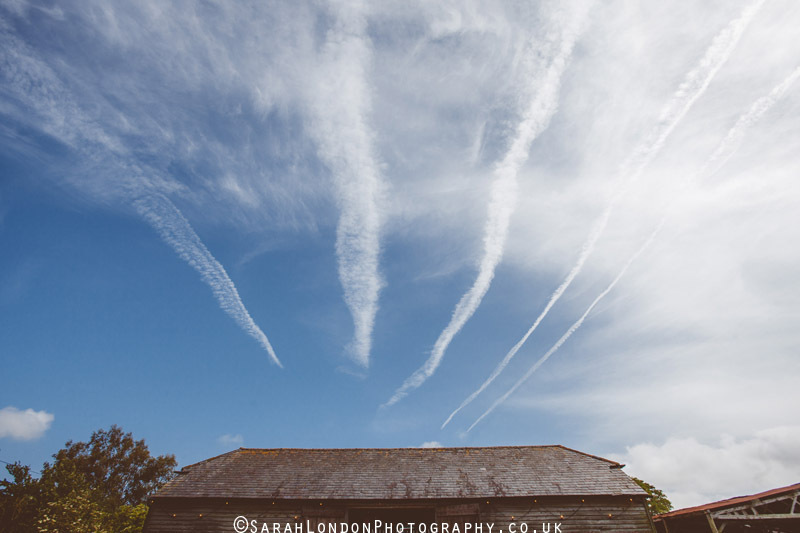 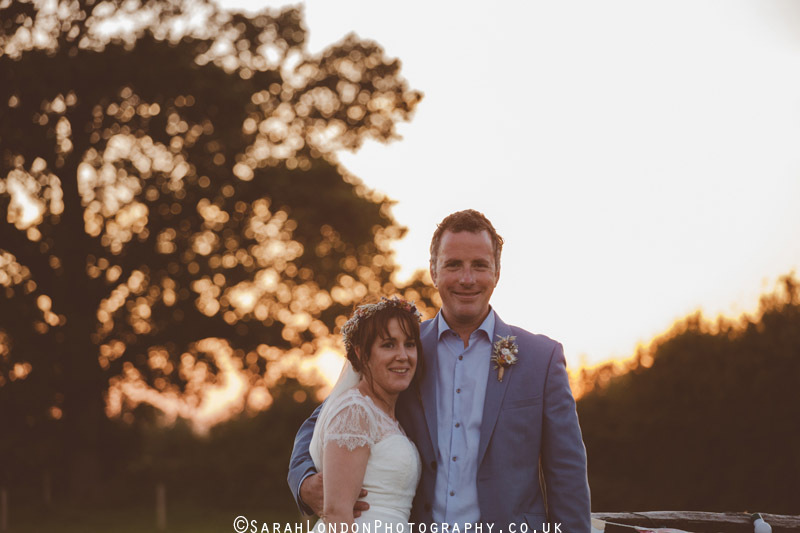 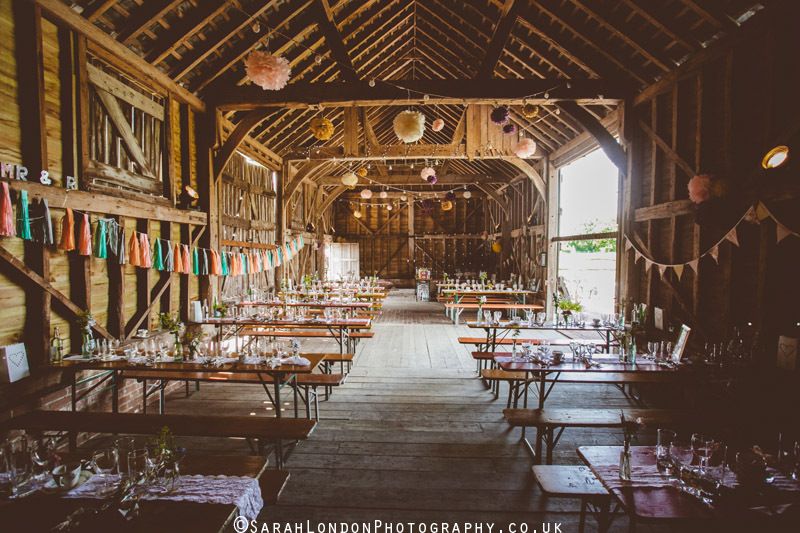 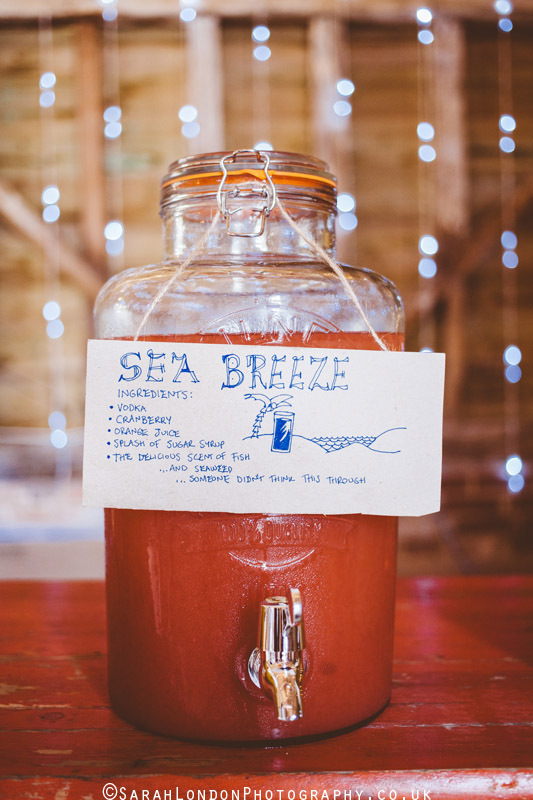 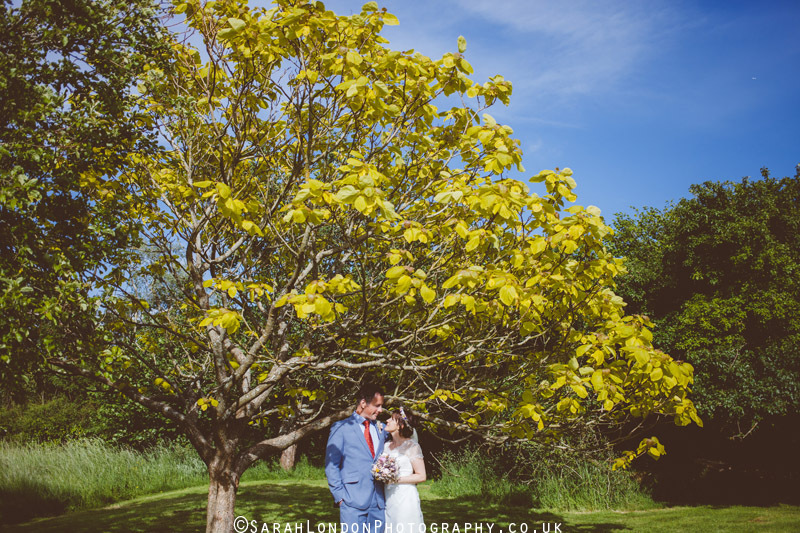 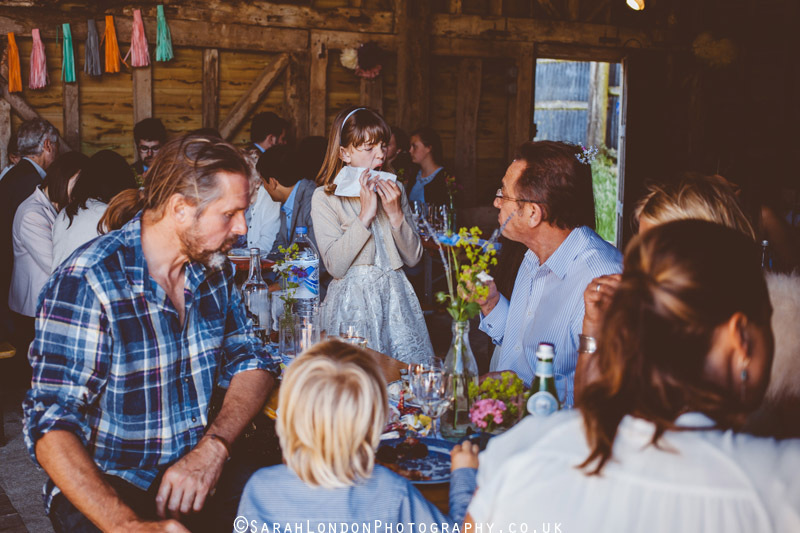 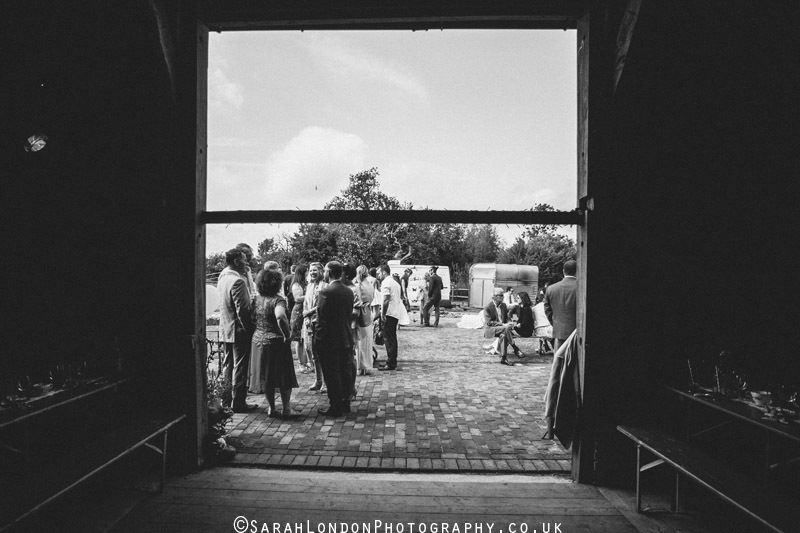 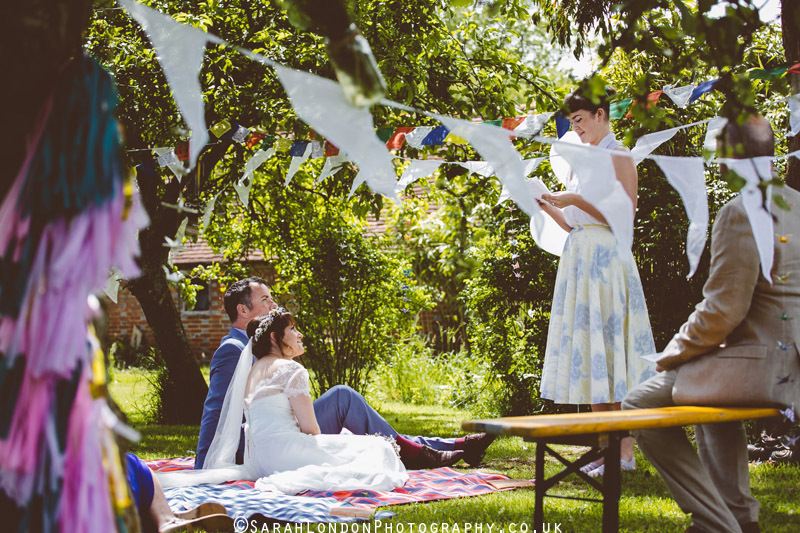 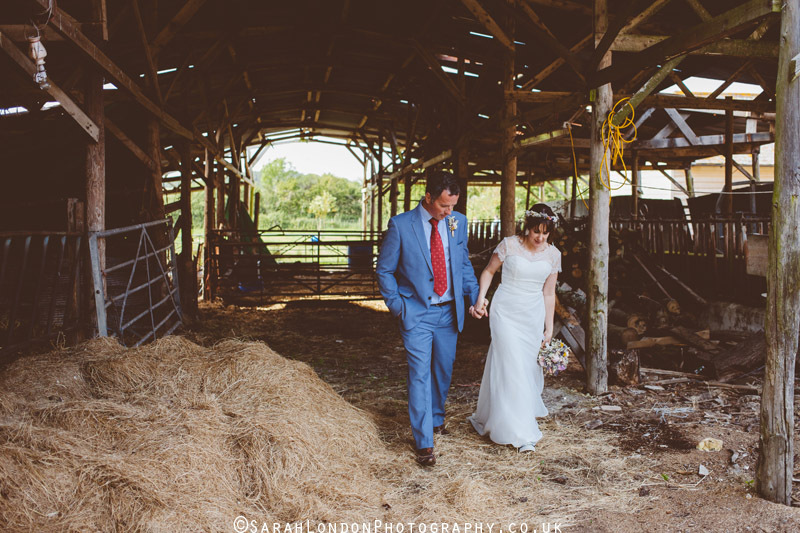 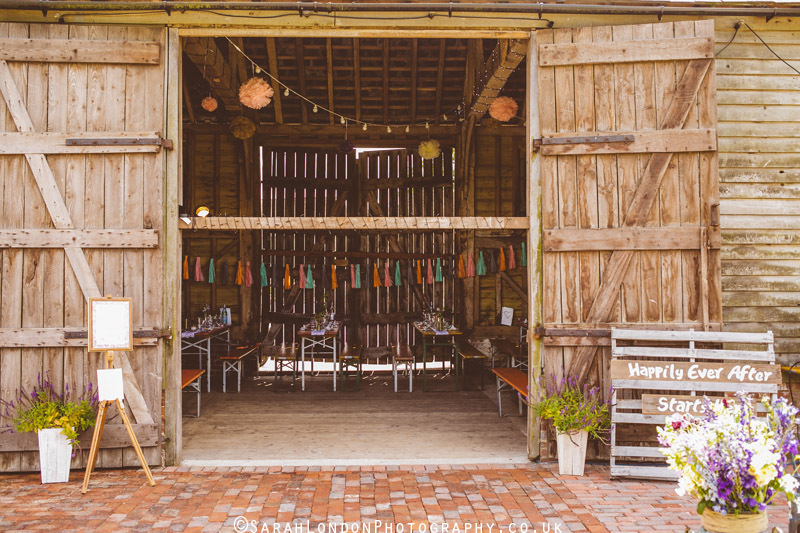 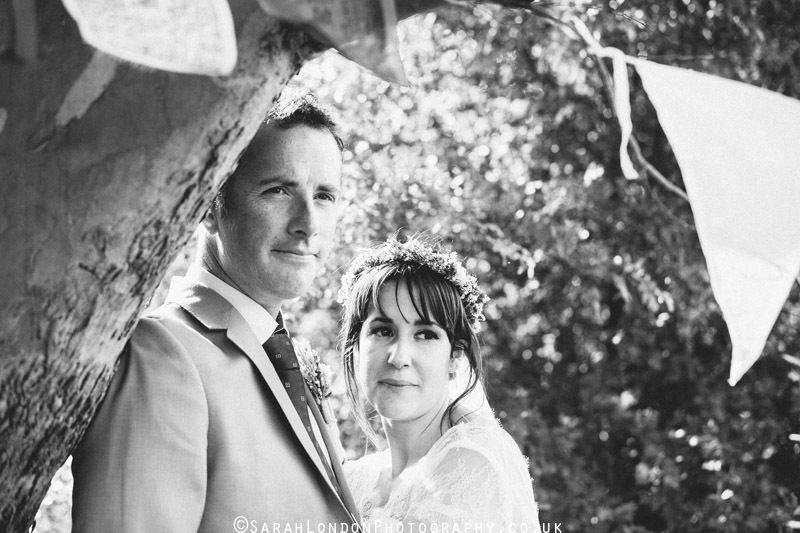 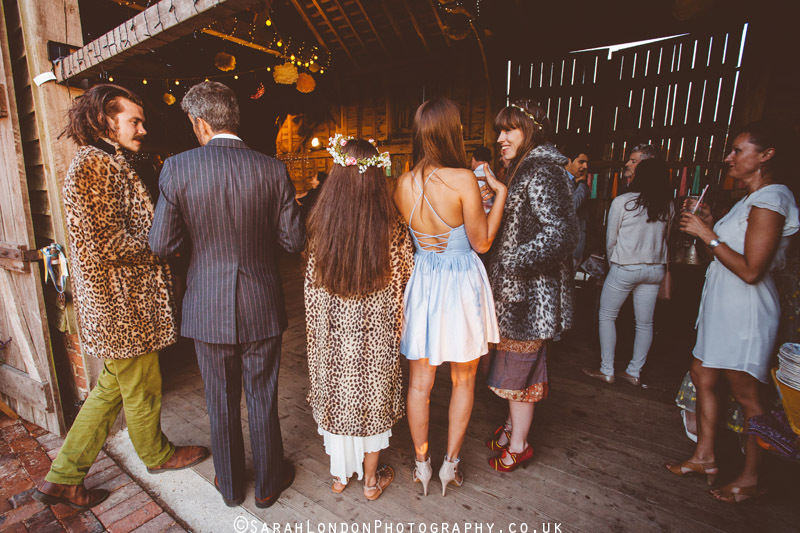 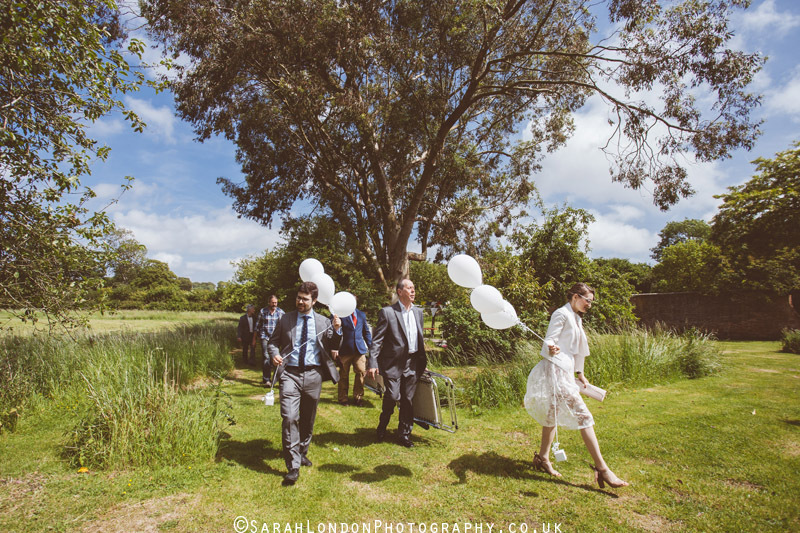 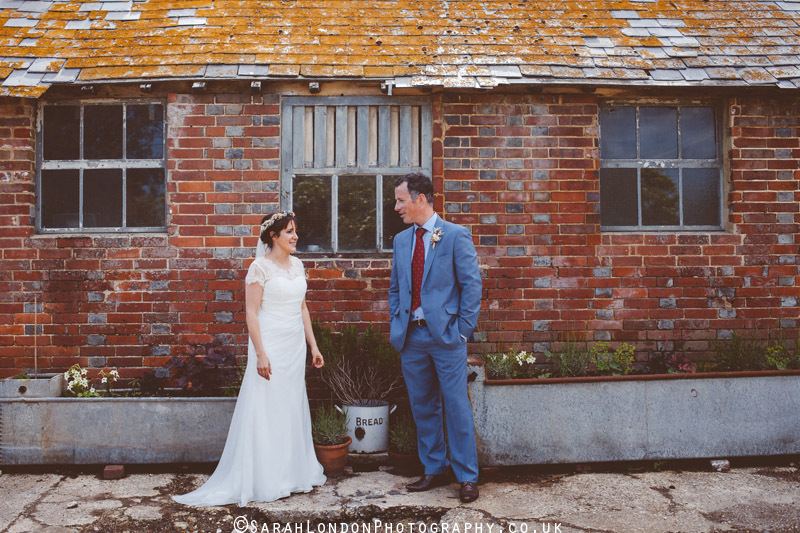 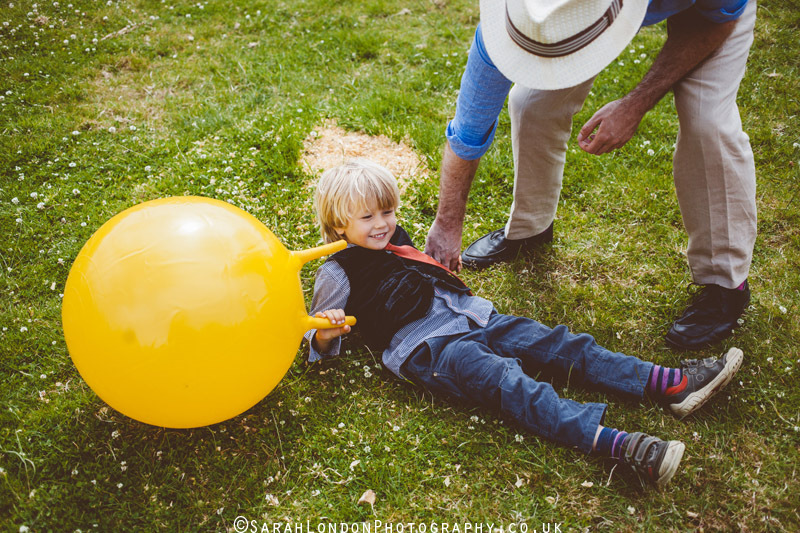 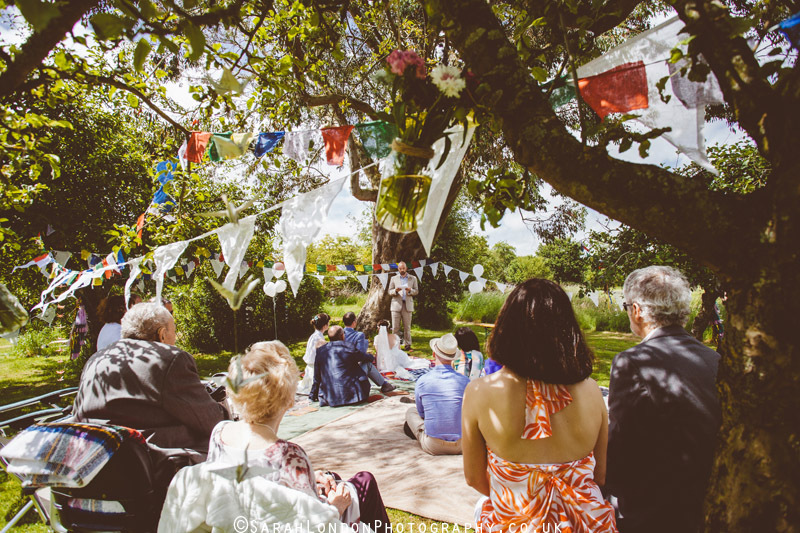 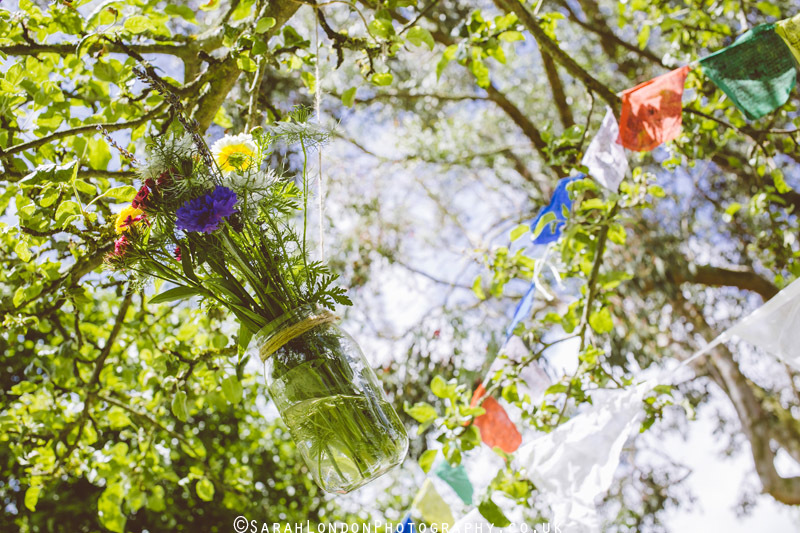 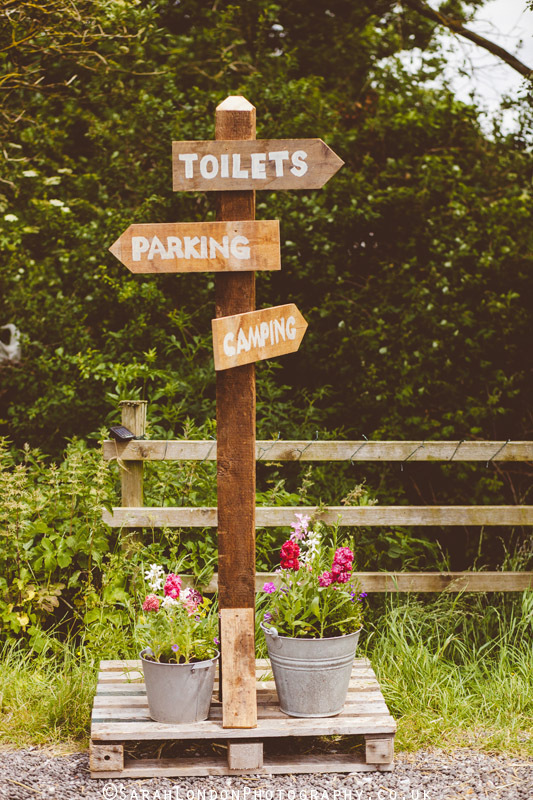 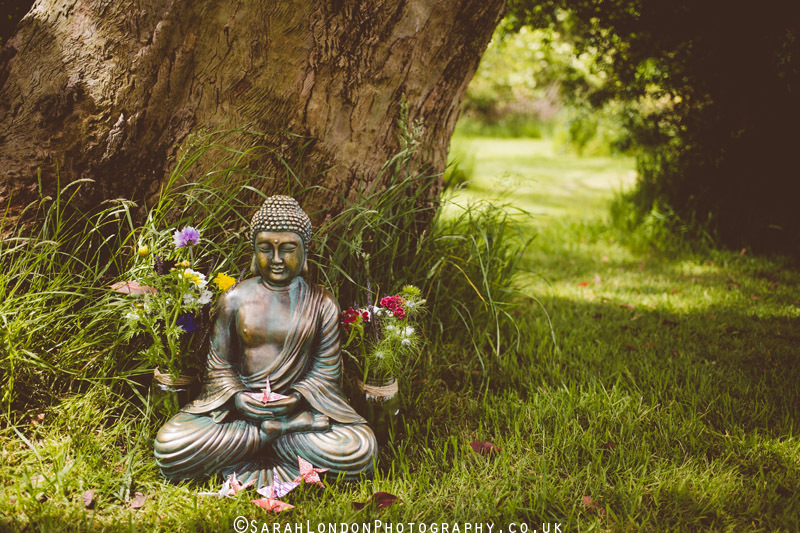 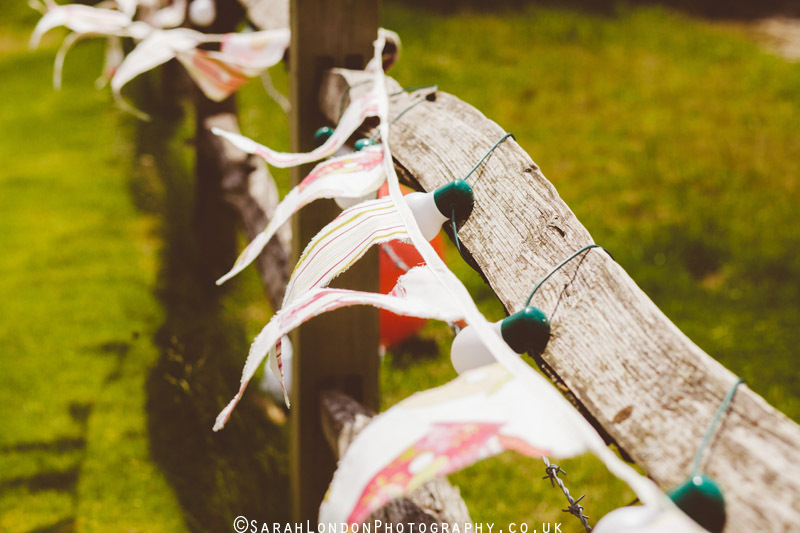 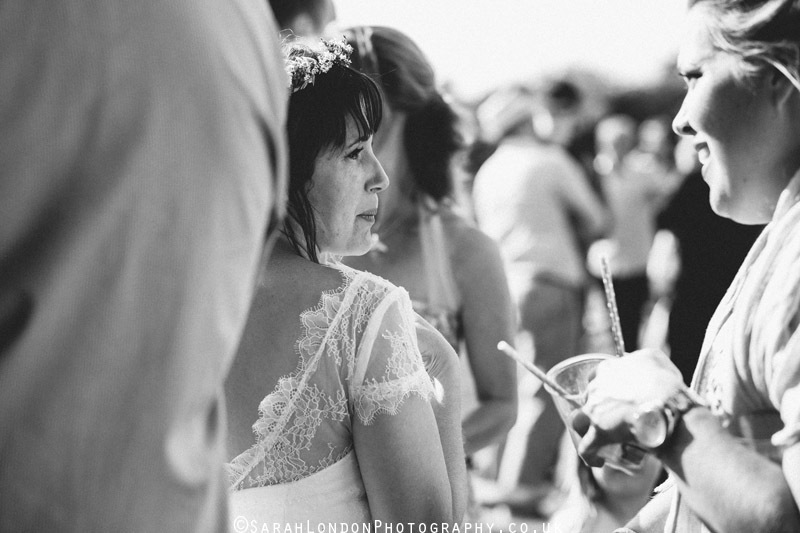 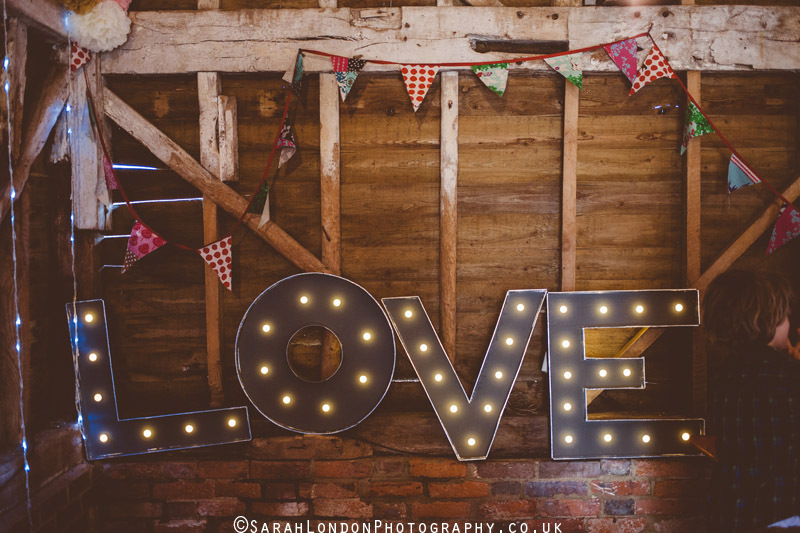 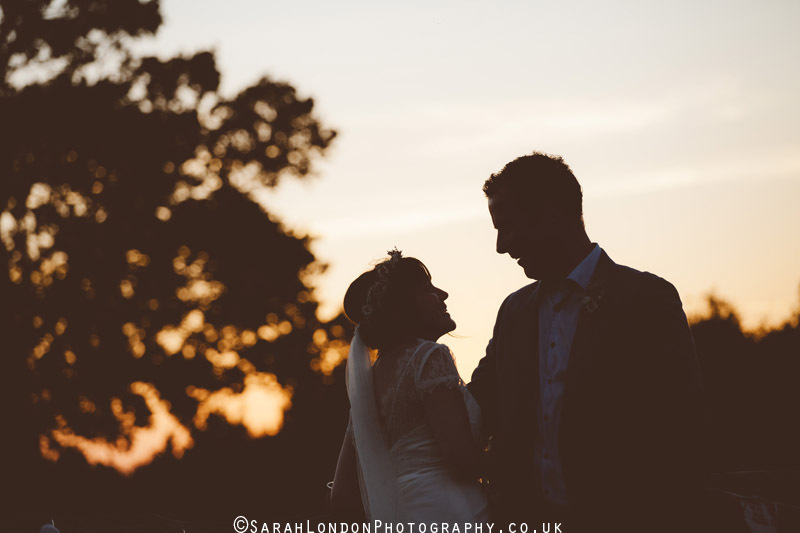 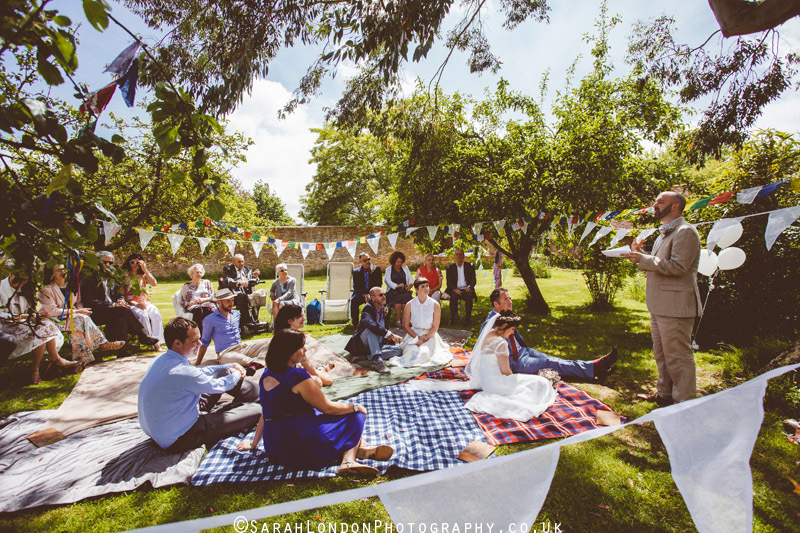 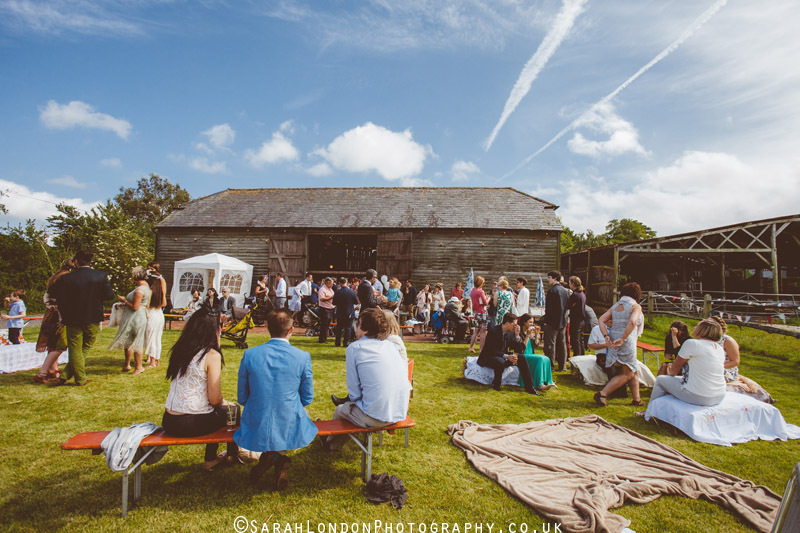 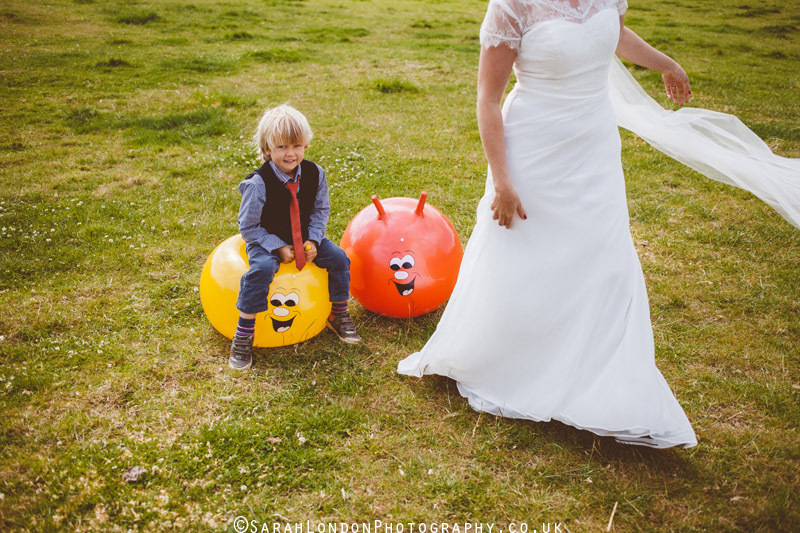 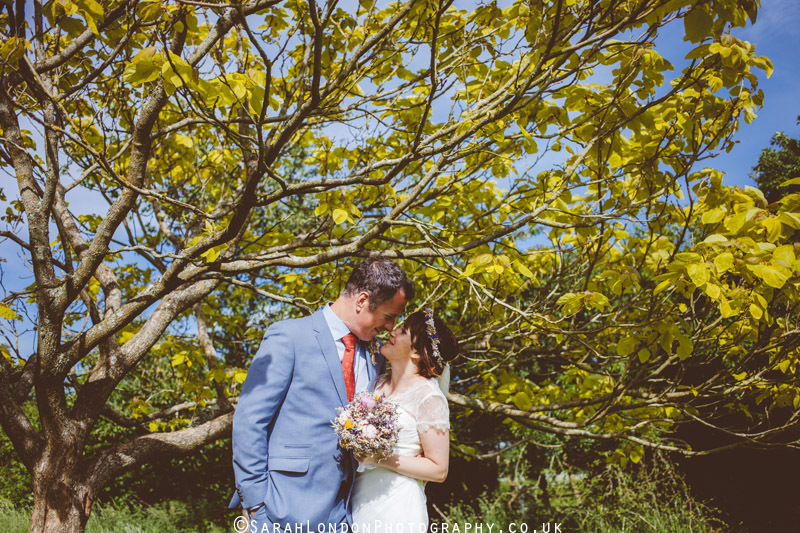 The Secret Barn in West Sussex provided a gorgeous orchard area that Katie and Neil could decorate to form an intimate area where they would have a few readings and speeches with only close family. 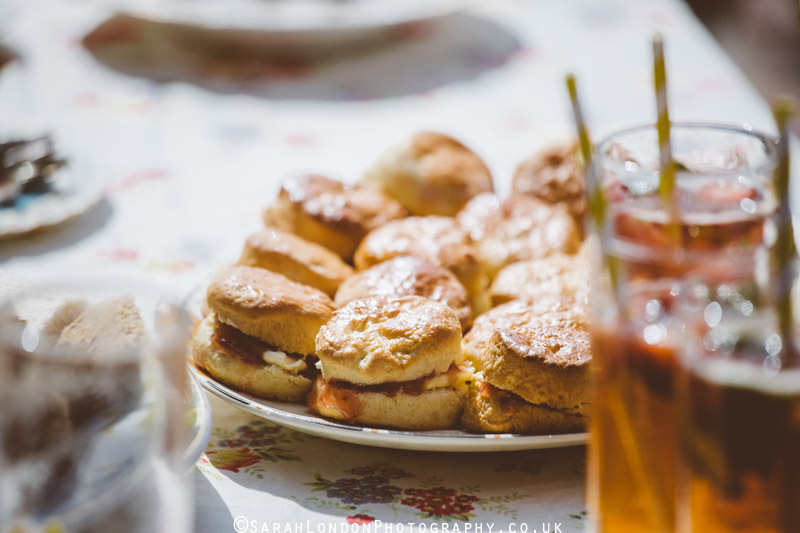 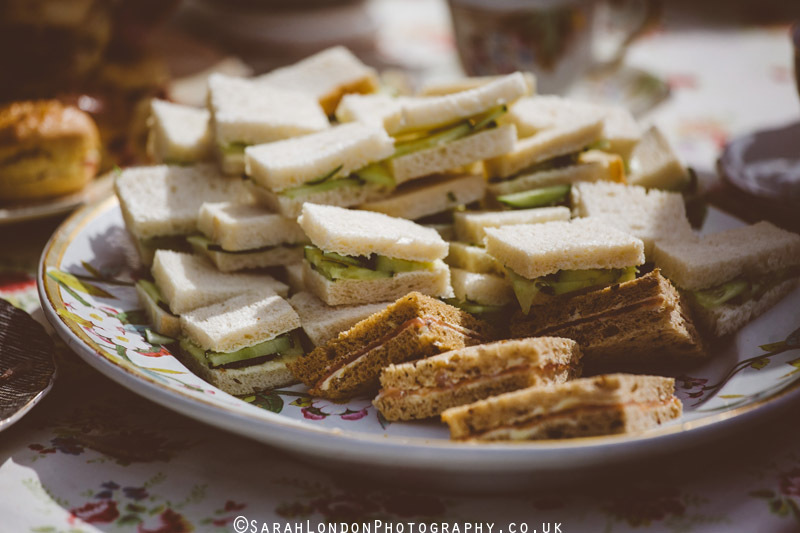 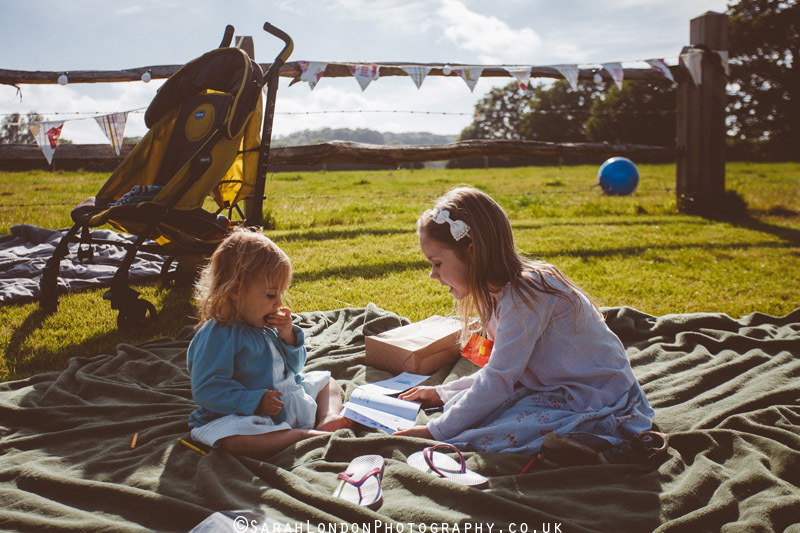 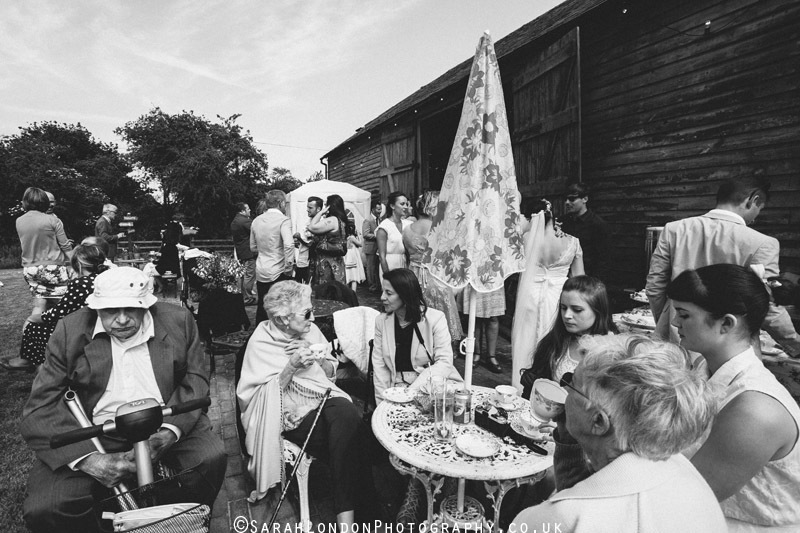 Extended family and friends were invited shortly after to join them for Pimms and afternoon tea provided by Petal & Feast who run the Secret Barn. 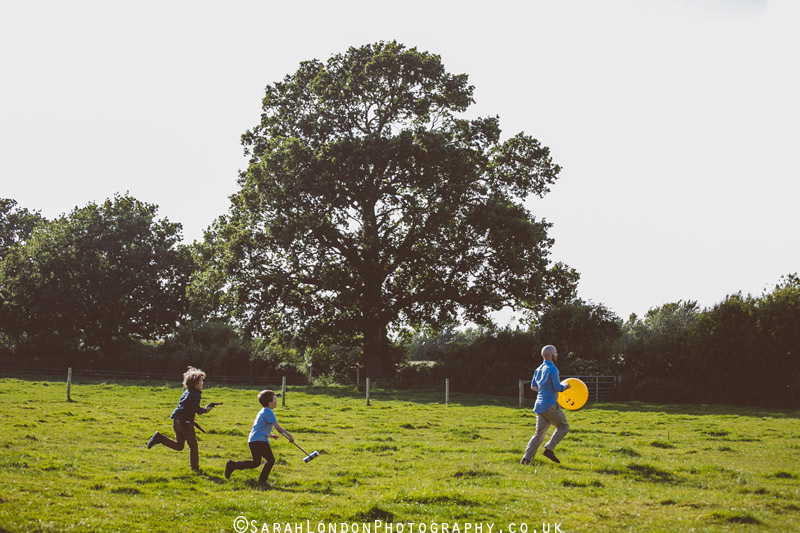 While adults chatted and caught up the children ran and played freely in the adjacent field. 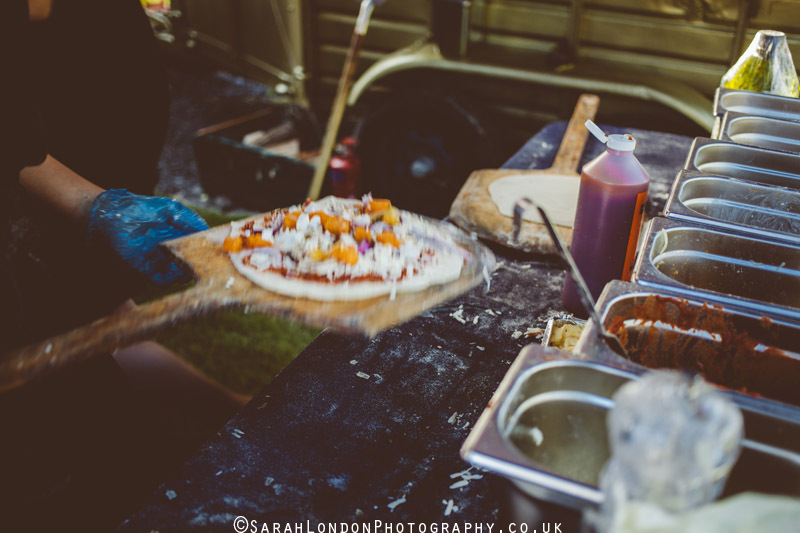 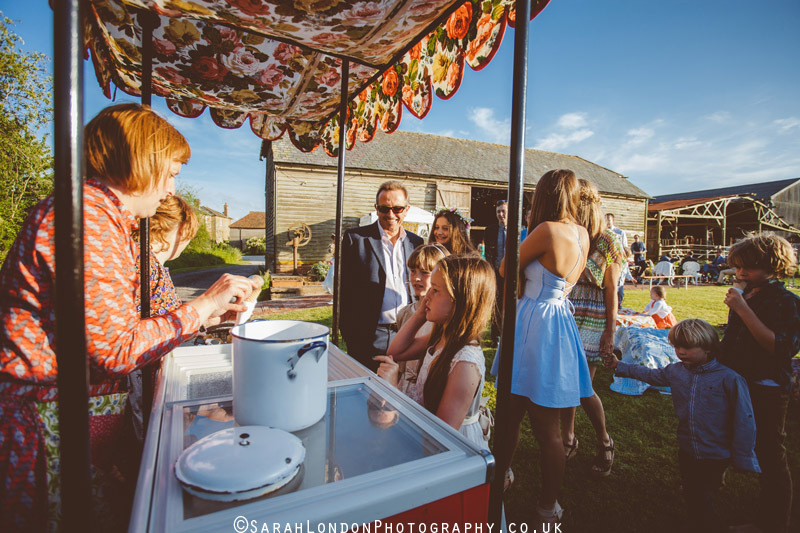 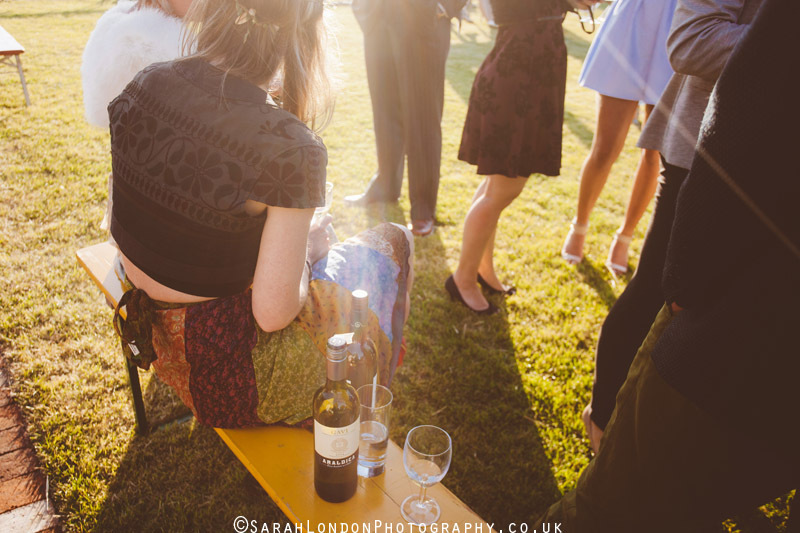 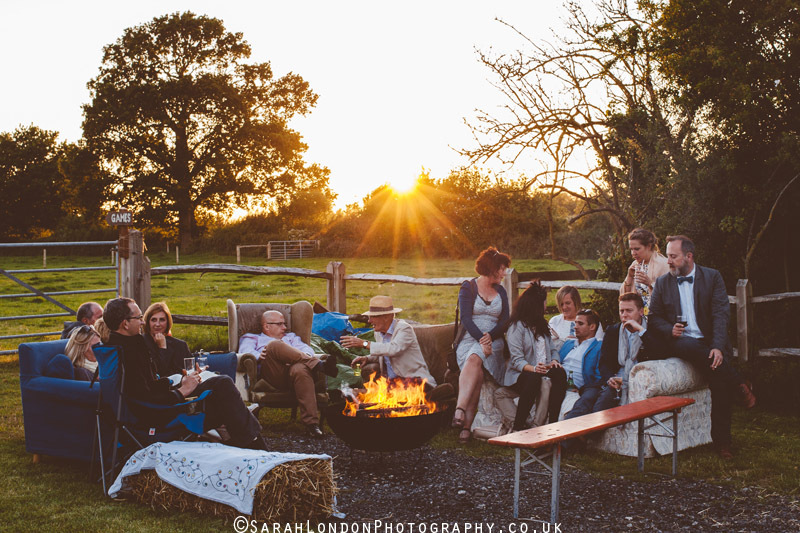 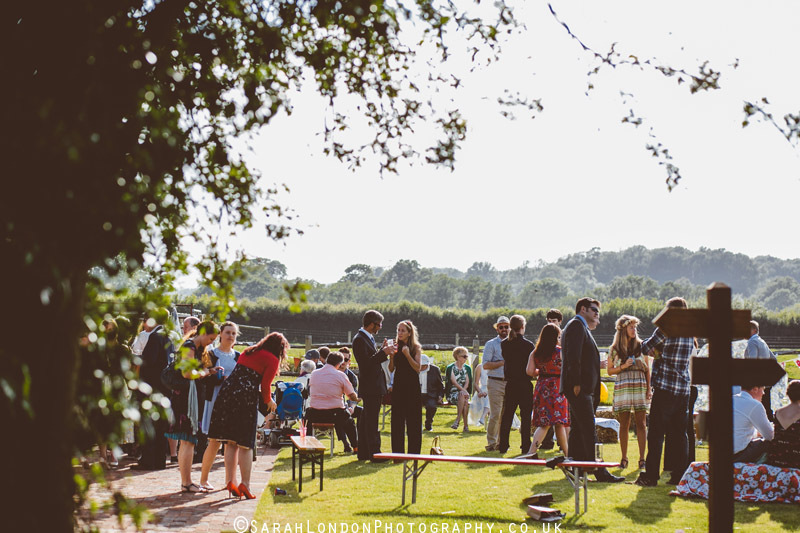 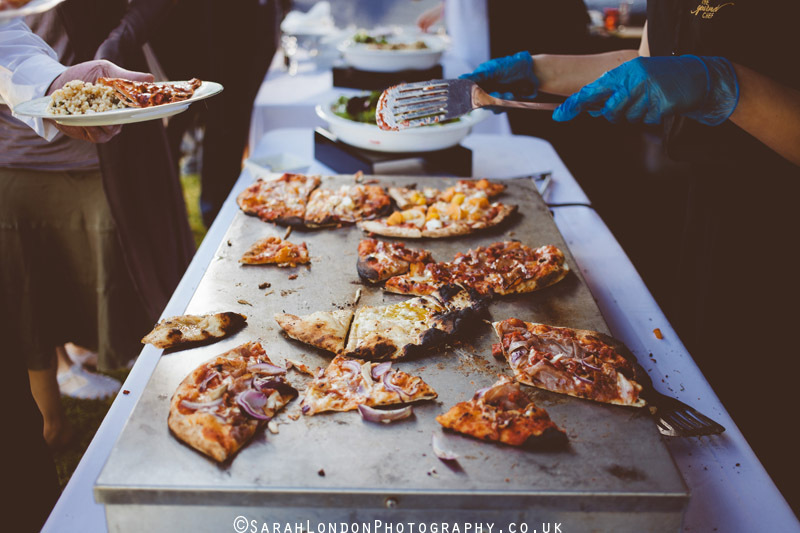 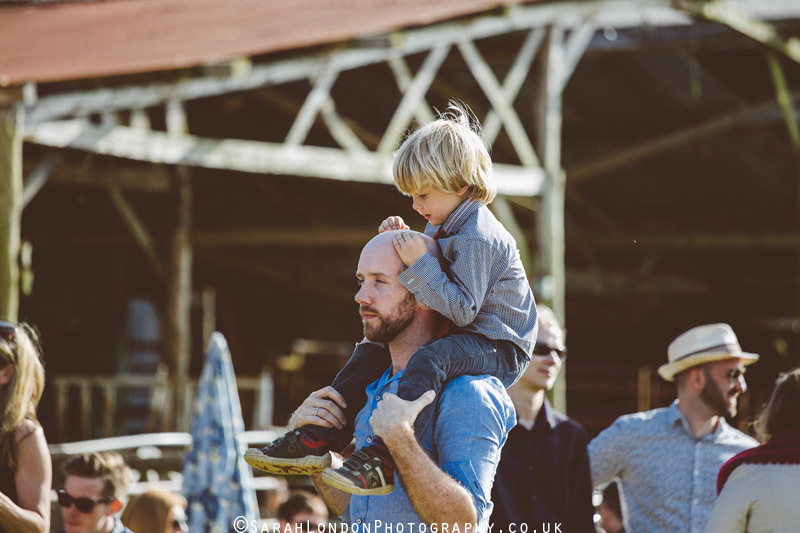 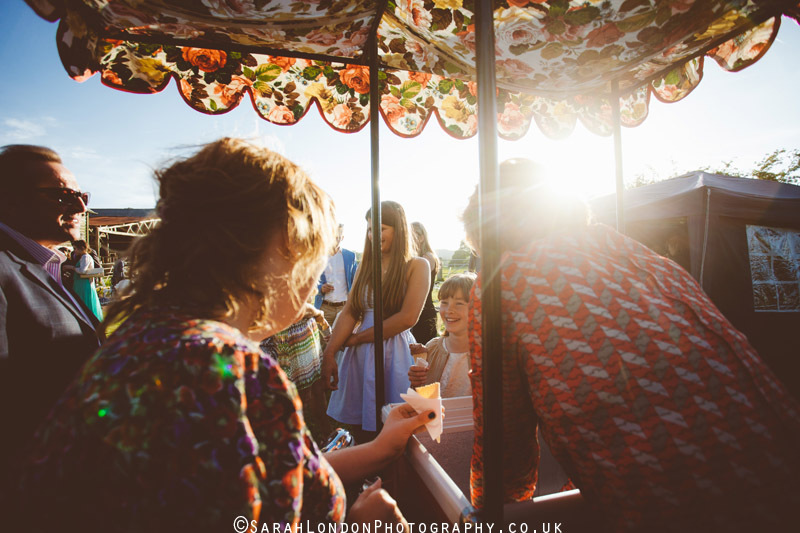 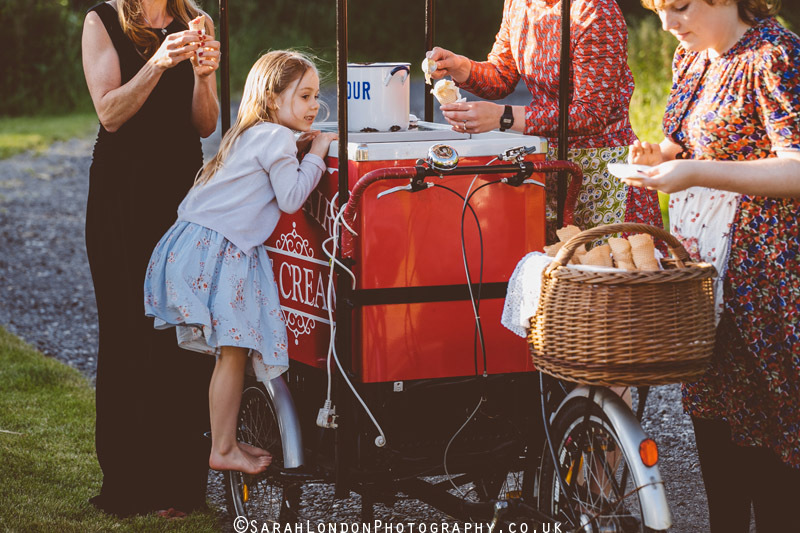 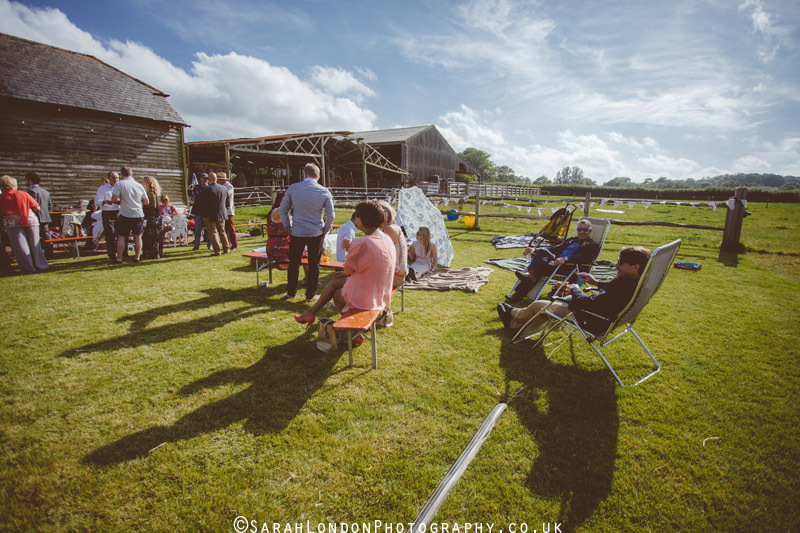 In the late afternoon the fire was lit and there was Pizza supplied by an outside caterer and an ice-cream cart also supplied by Petal & Feast. 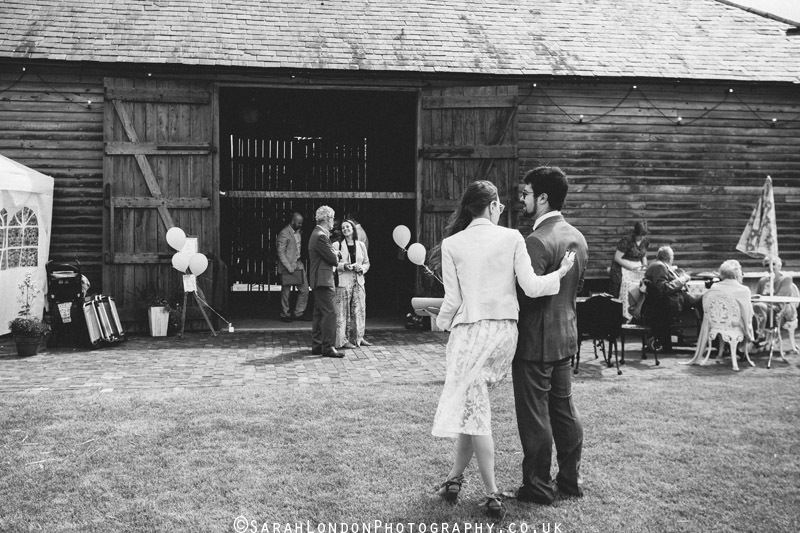 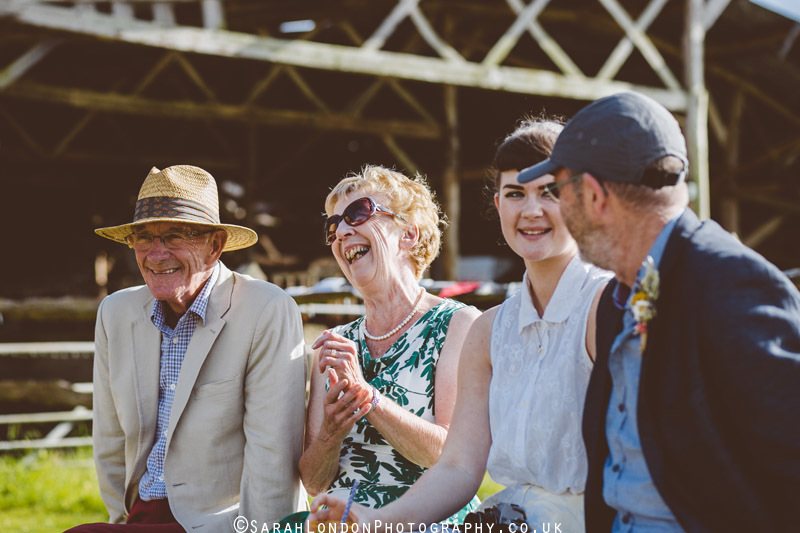 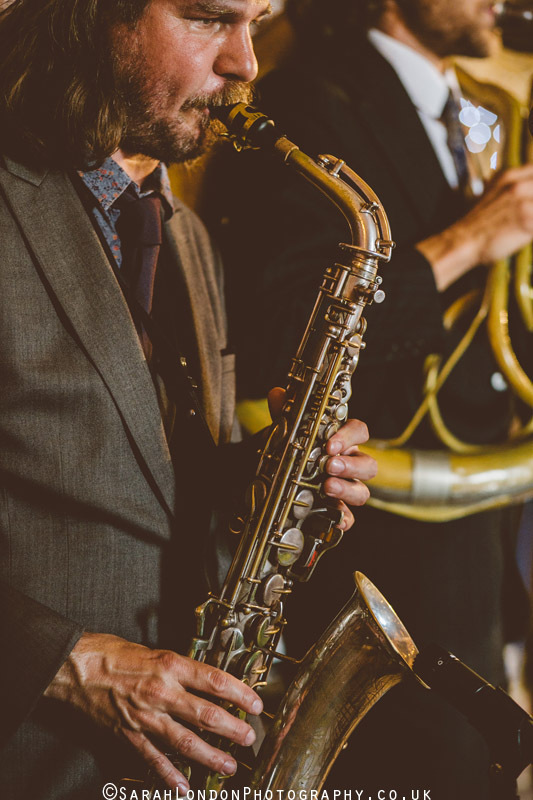 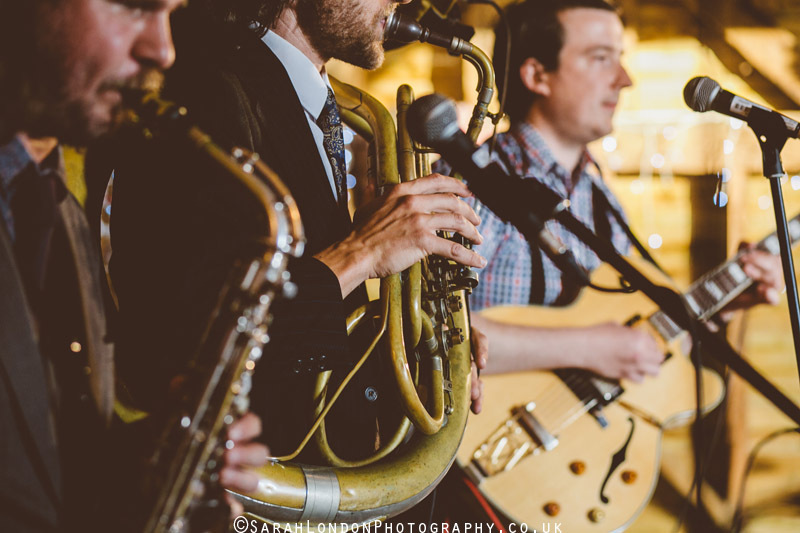 In the evening a swing band took to the barn ‘stage’ to get guests boogying. 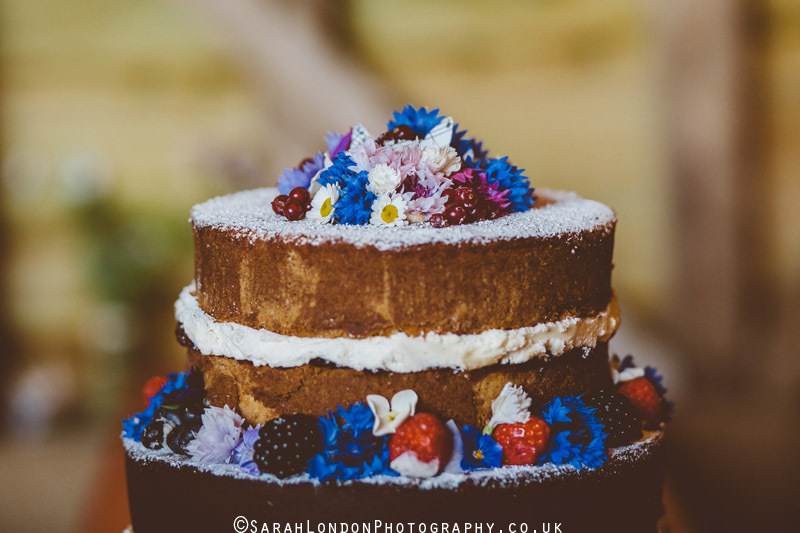 I left shortly after the cake cutting leaving guests to feast on a mound of cakes baked and created by themselves for a ‘bake-off’ style competition, with Neil slowly but surely working his way though them all to decide on a winner! 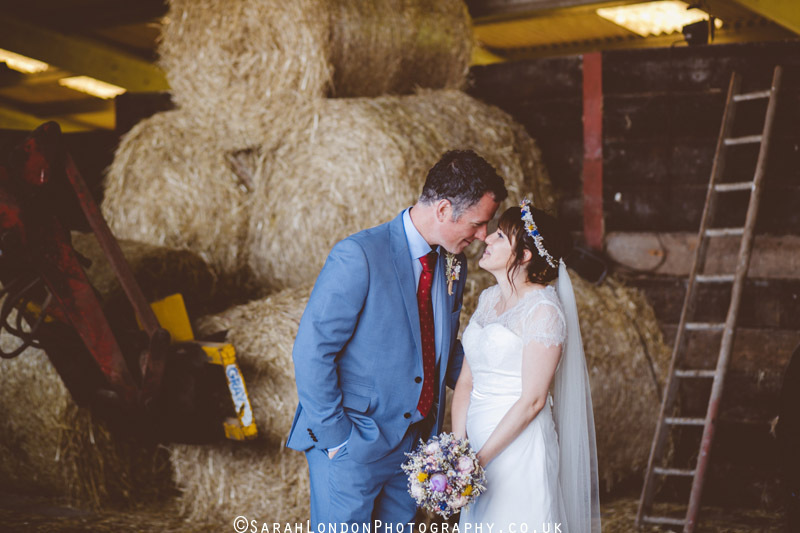 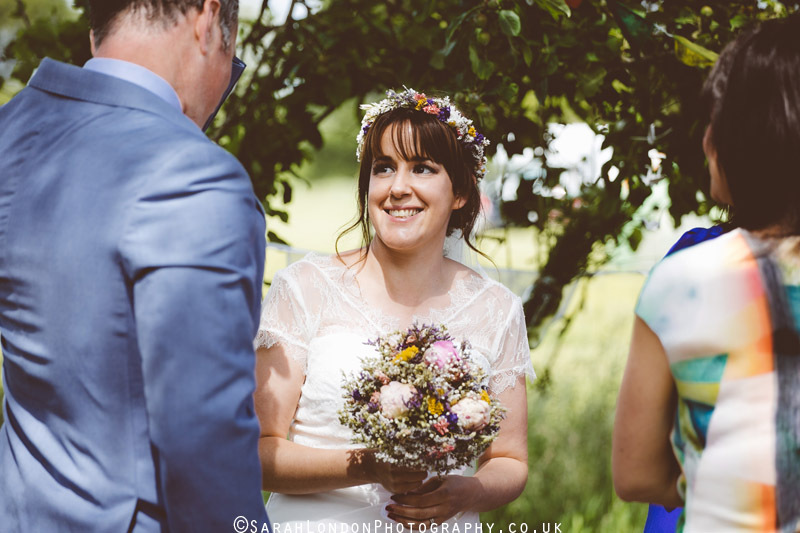 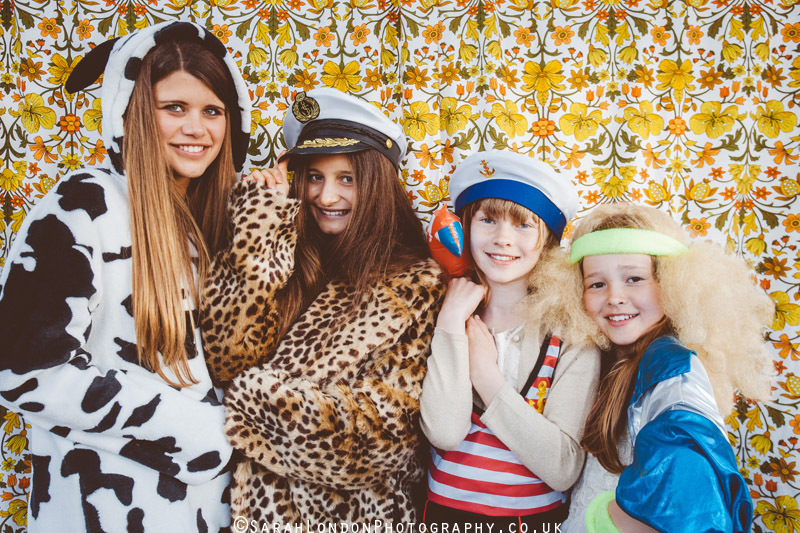 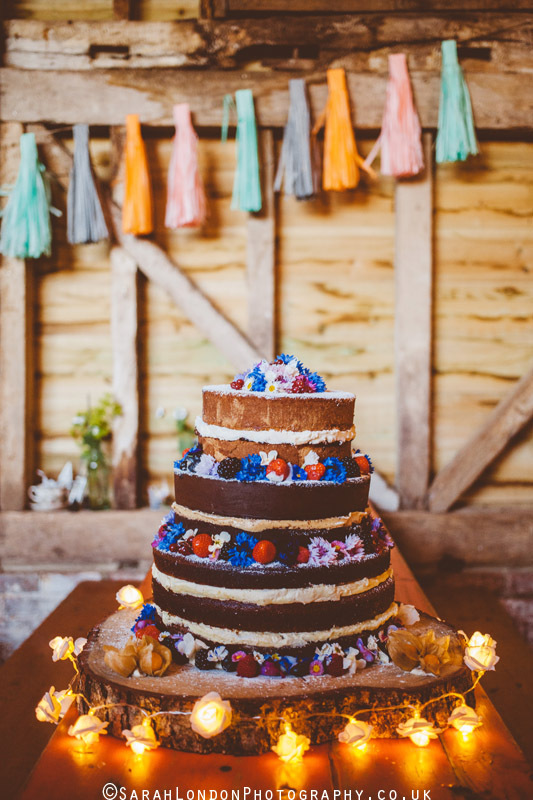 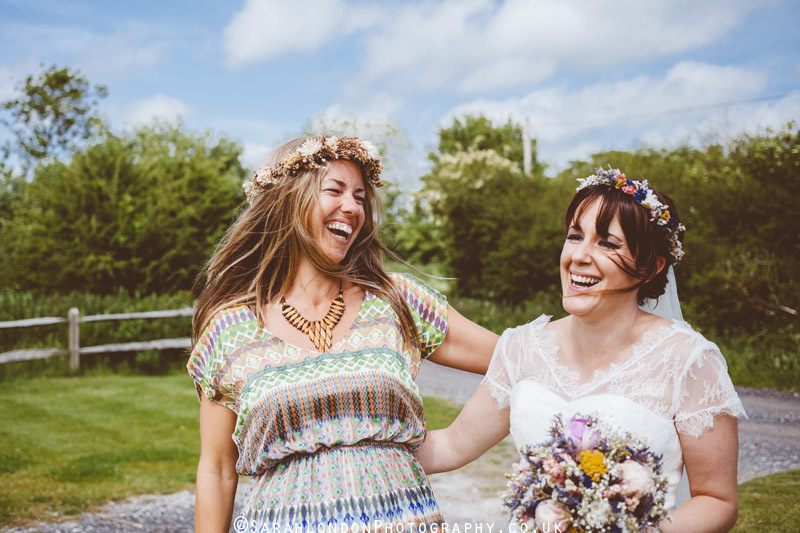 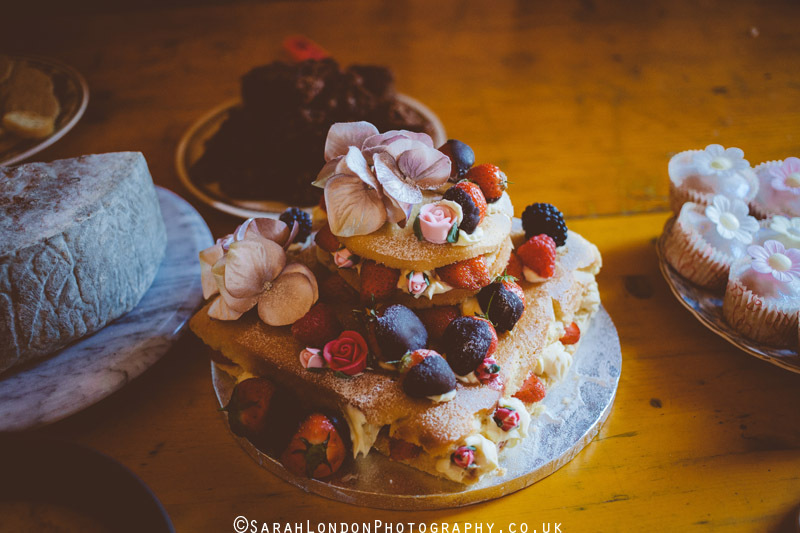 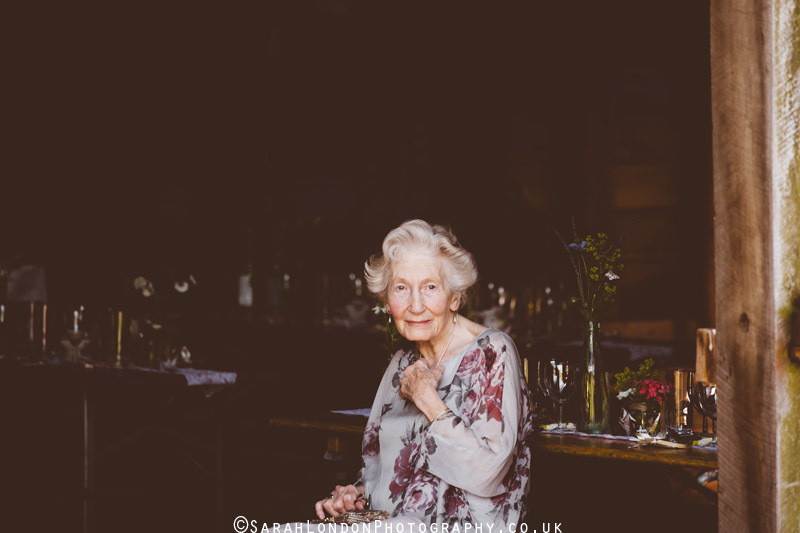 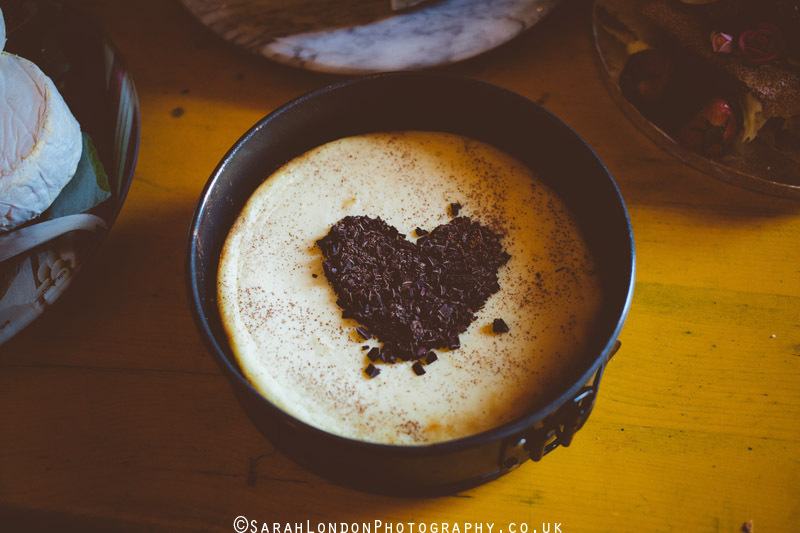 Flowers – Sussex flower Farm and home grown, all styled by Katie and Neil. 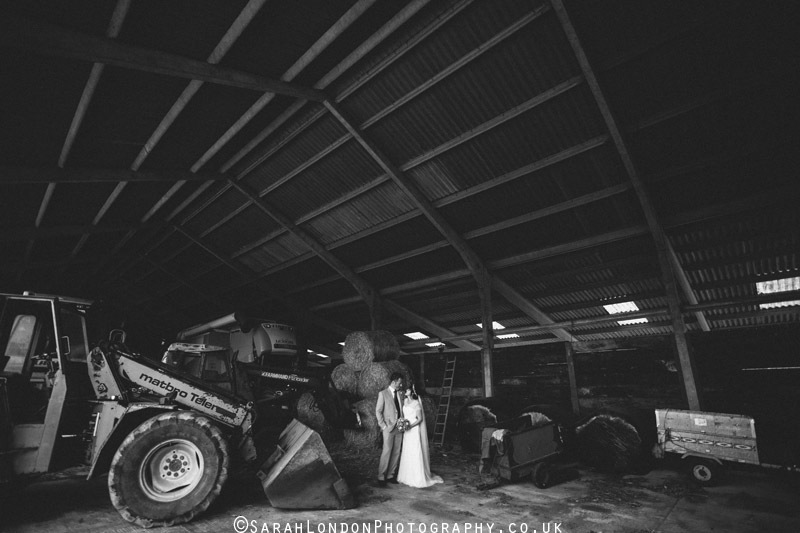 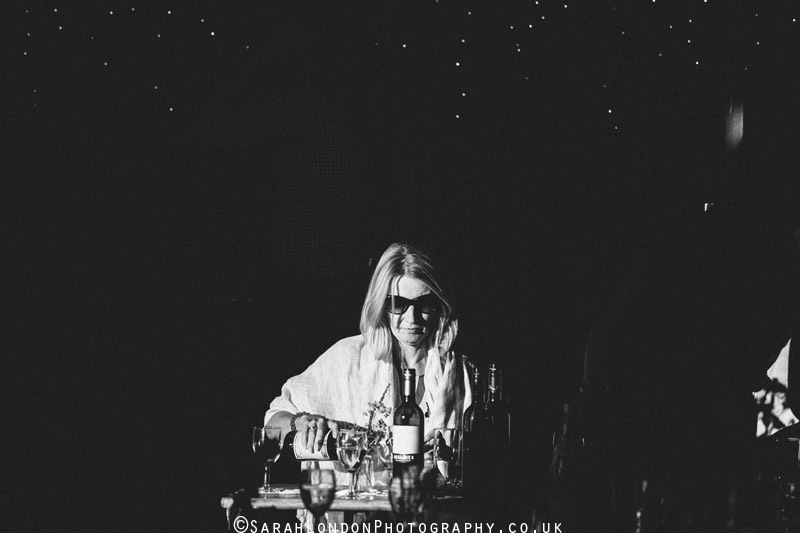 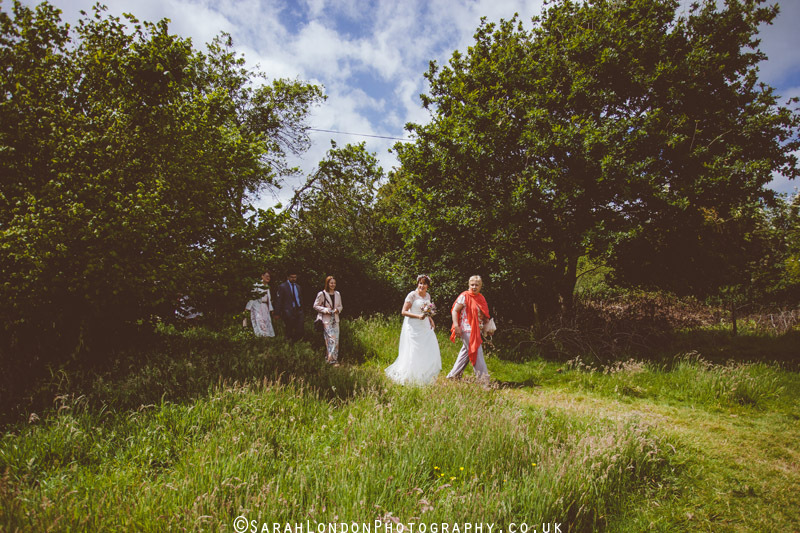 I really enjoy this sort of wedding photography, were the whole setup is located in such a lovely country side. 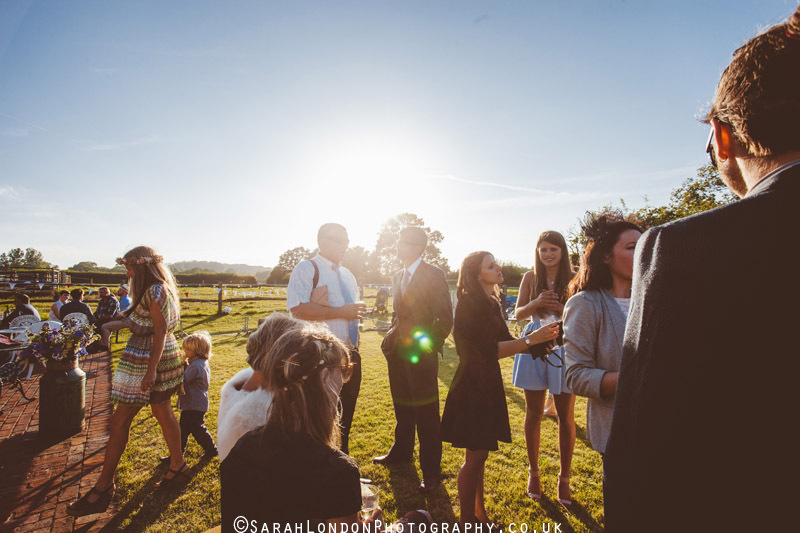 With its beautiful blooming sun and lovely people. 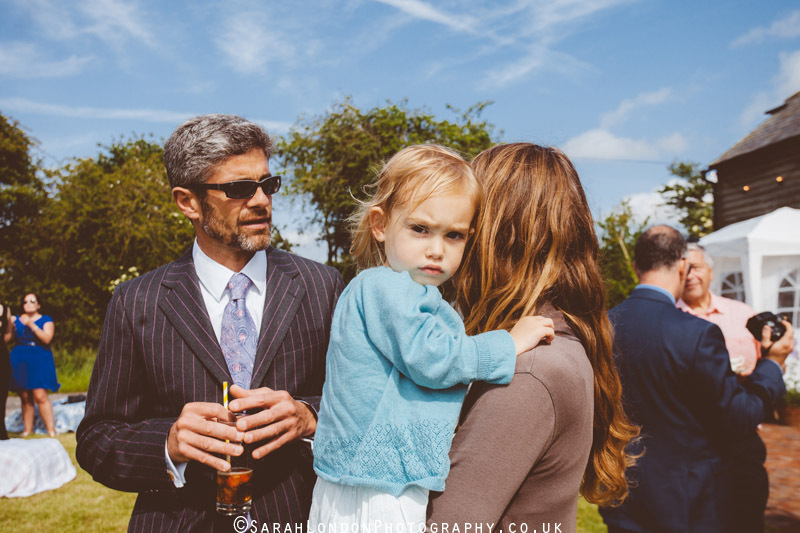 Beautiful photos Sarah. 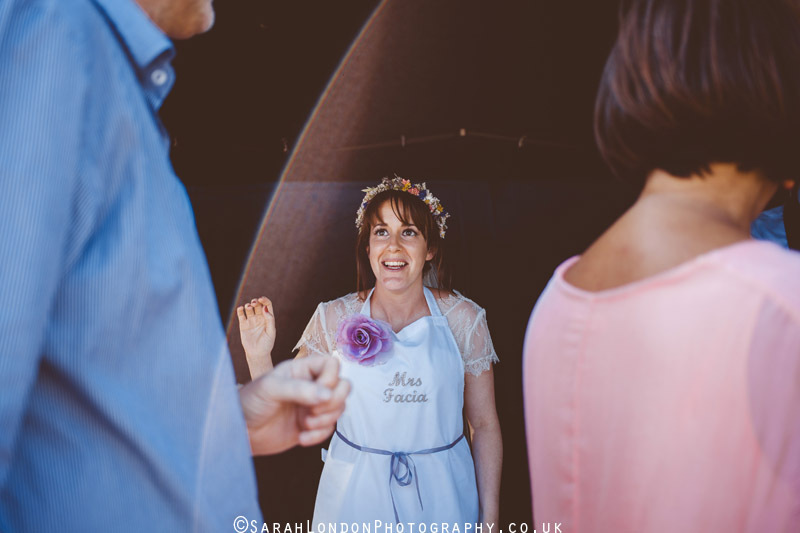 I’m a big fan of your work!